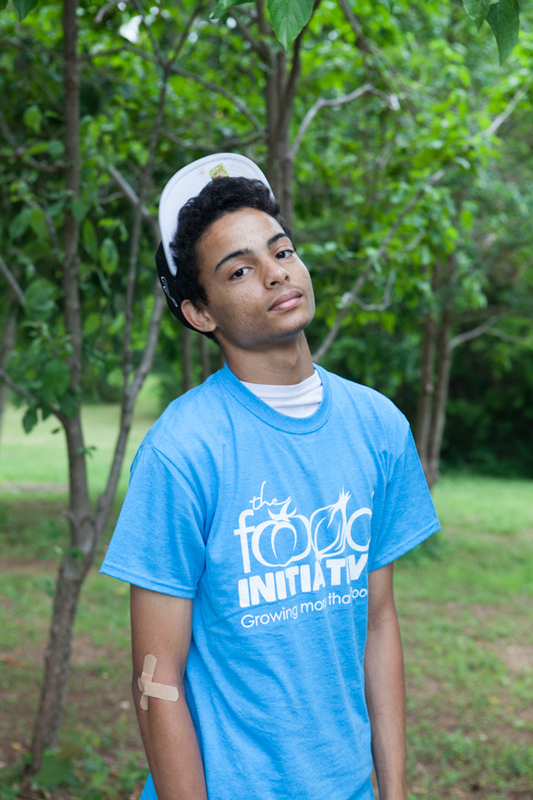 Our mission is to grow healthy food, empower lives and build community. 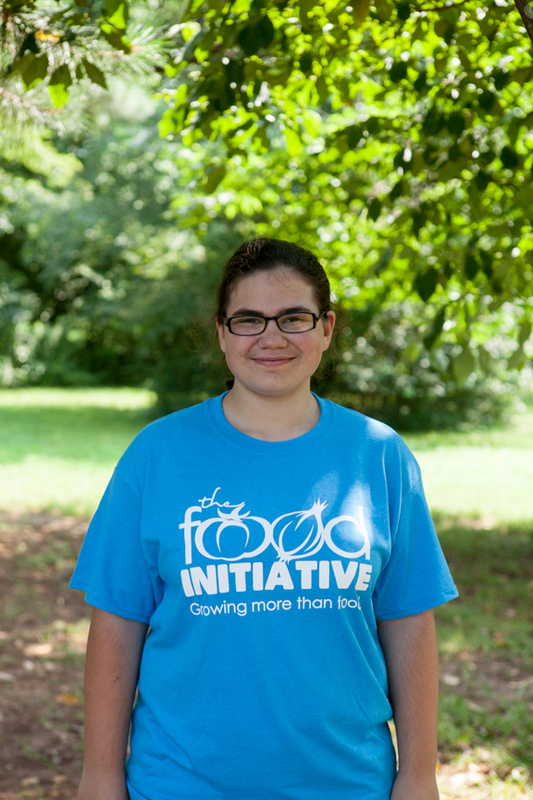 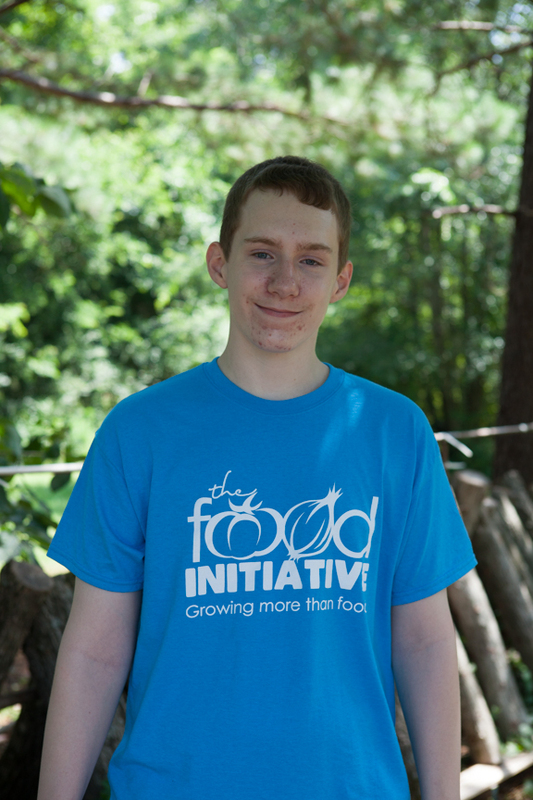 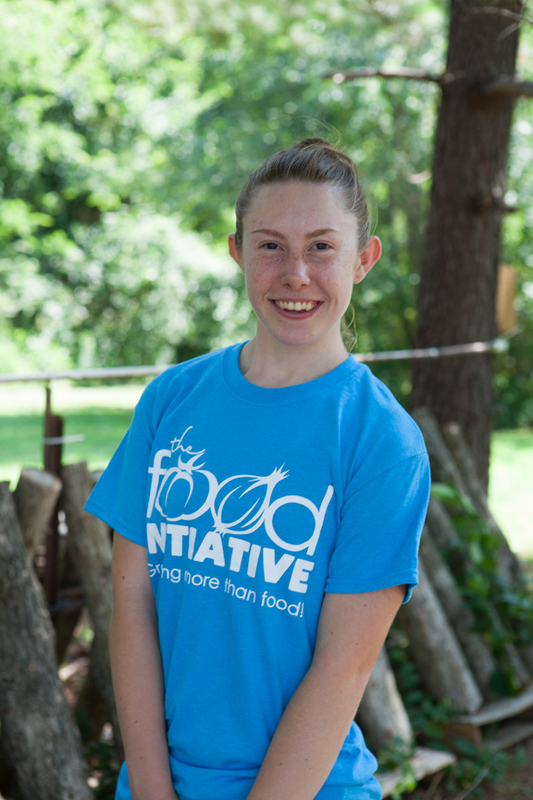 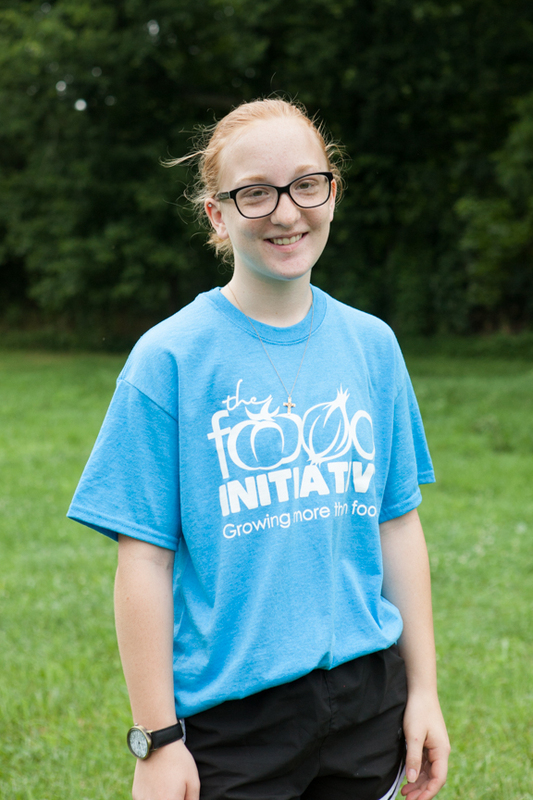 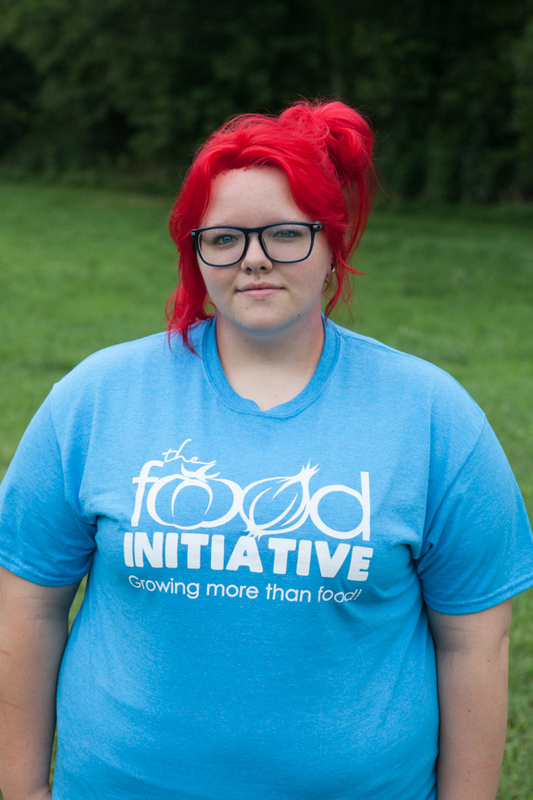 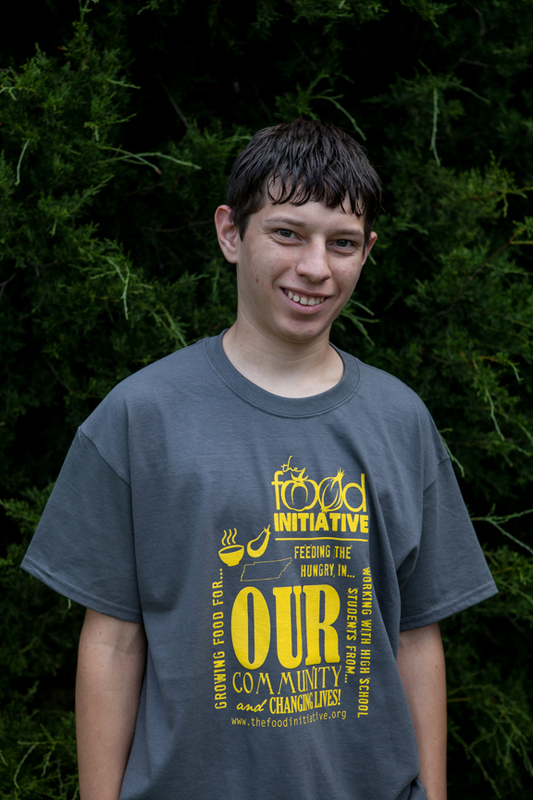 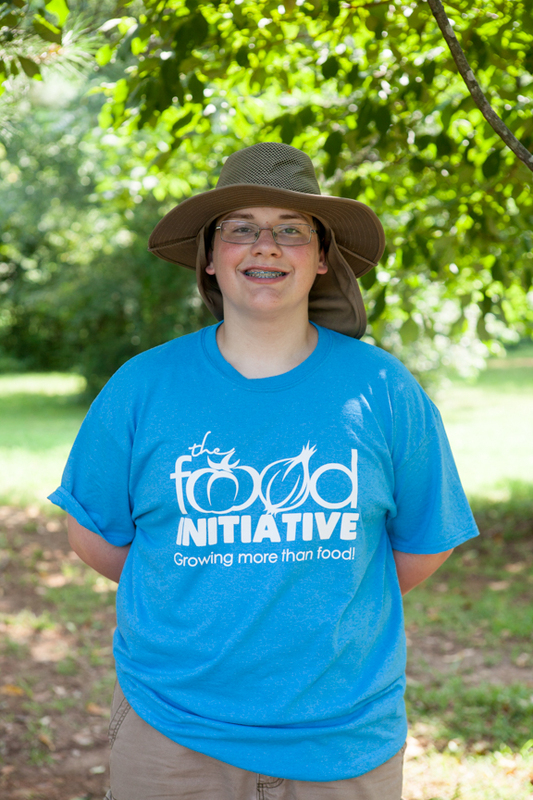 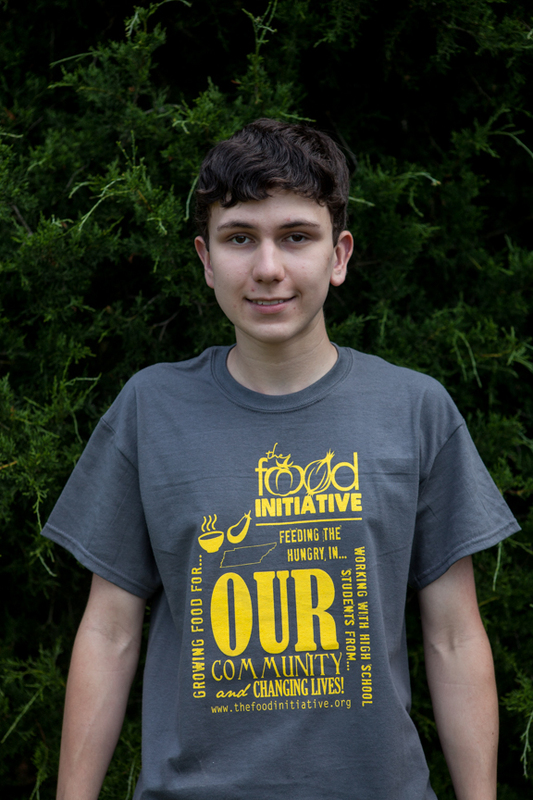 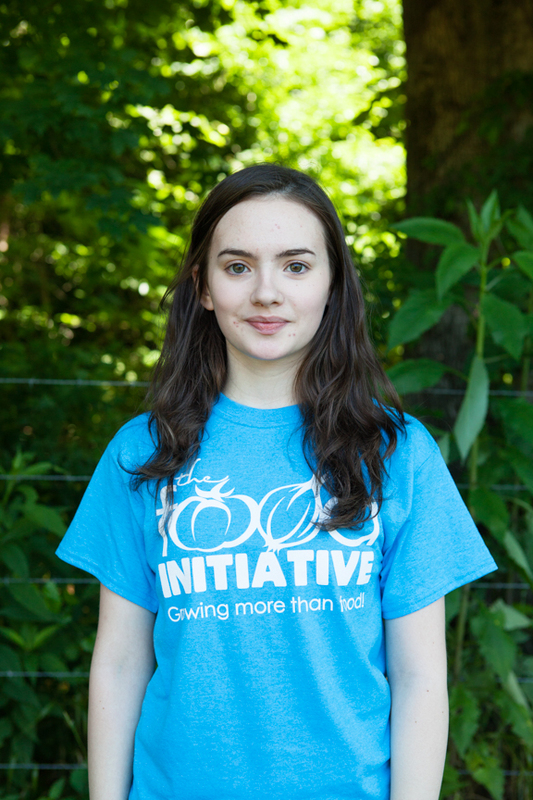 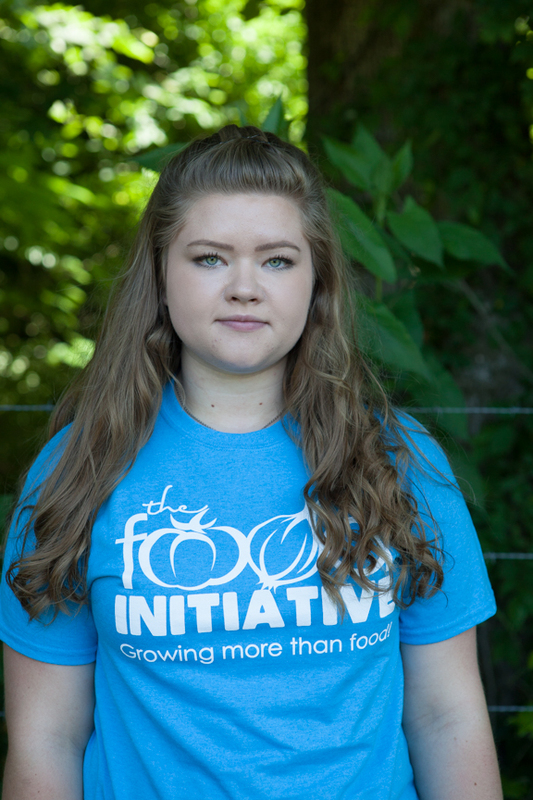 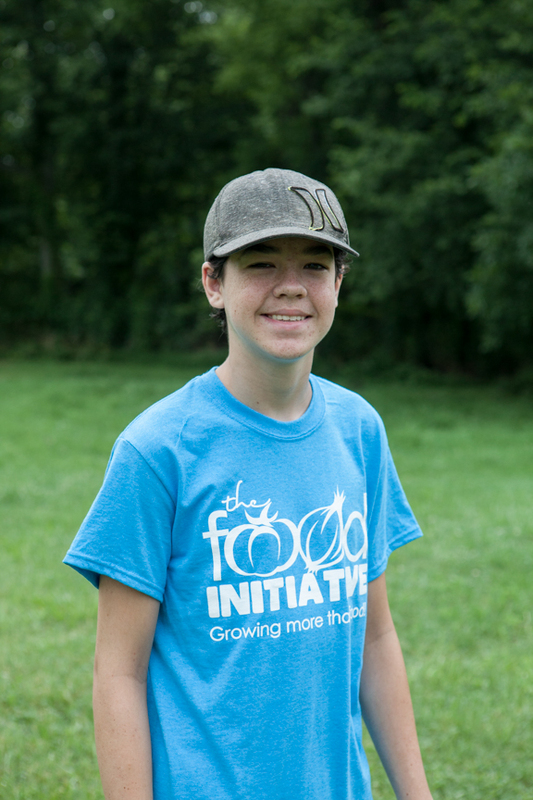 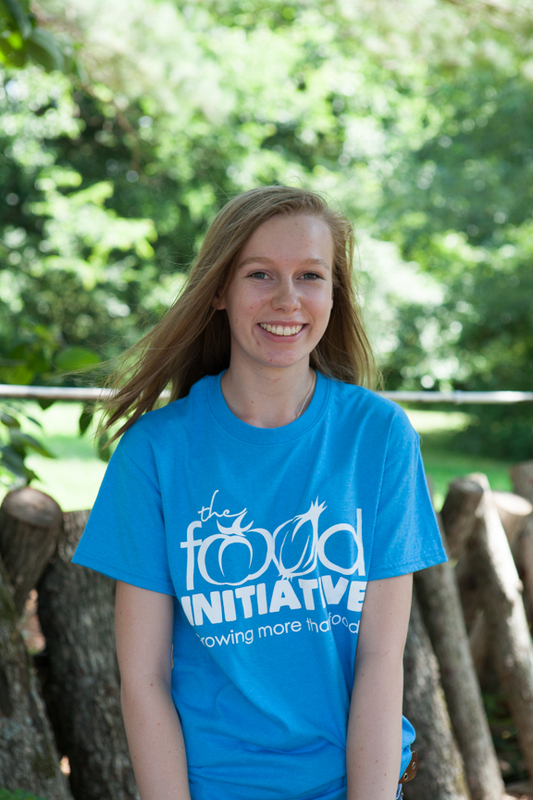 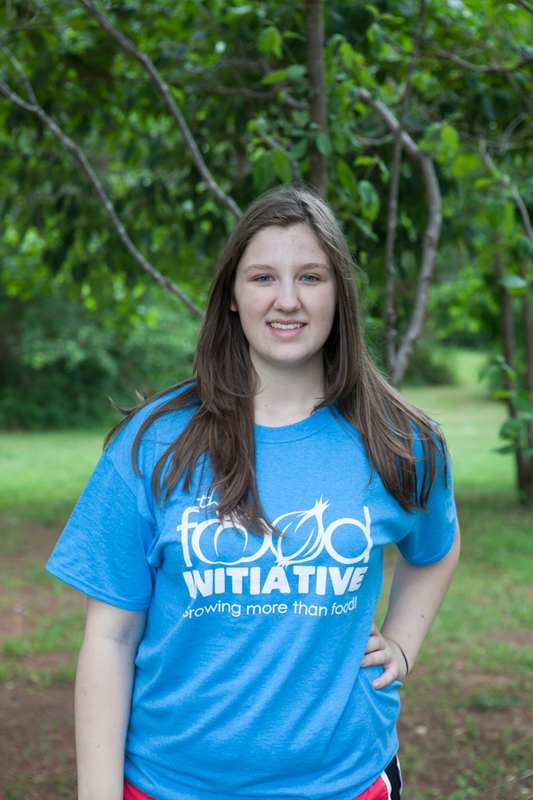 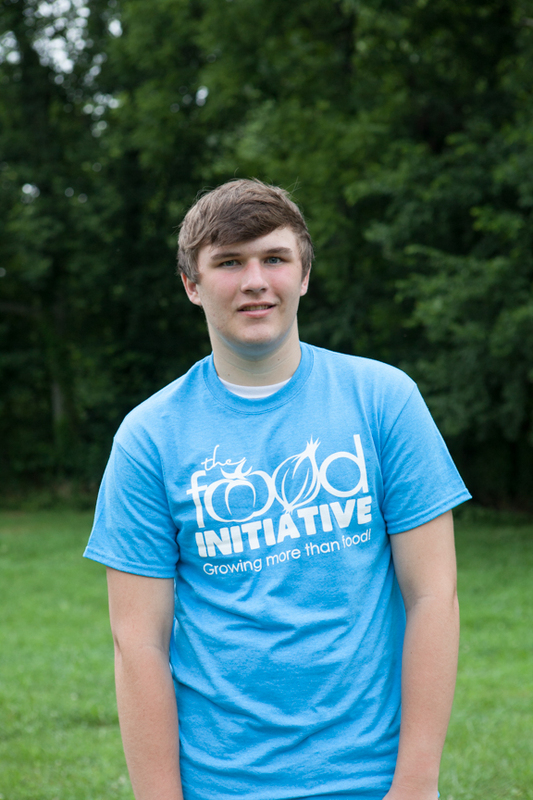 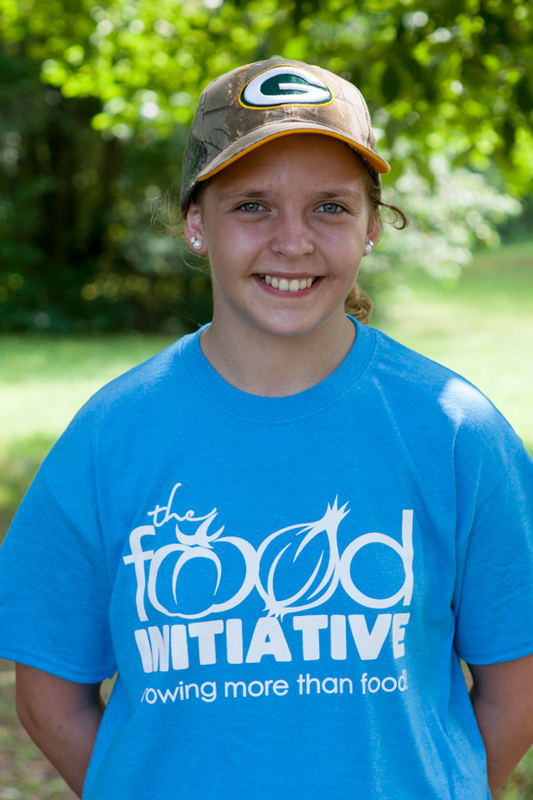 The short and sweet story of how The Food Initiative came into existence is that a small group of people saw the need for a positive outlet for our young people in Montgomery County, TN. 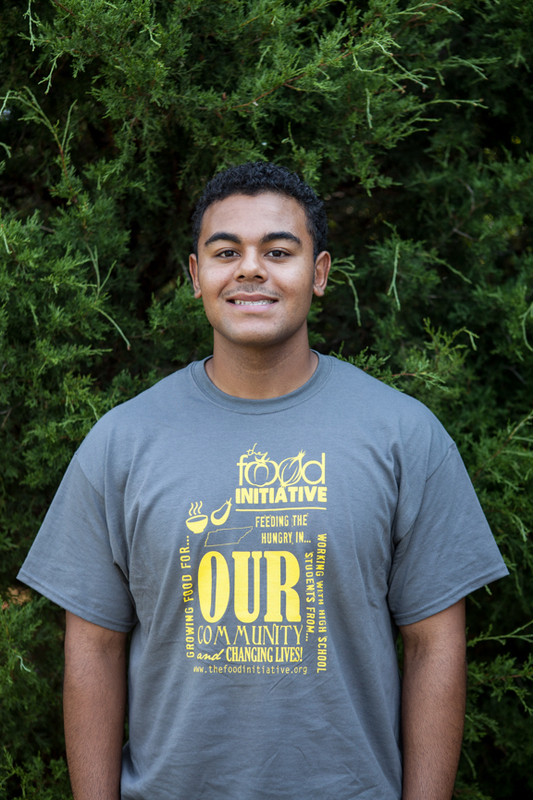 The increasing amount of violence, depression, suicide, obesity, and similar issues in our community among teens could not be ignored. 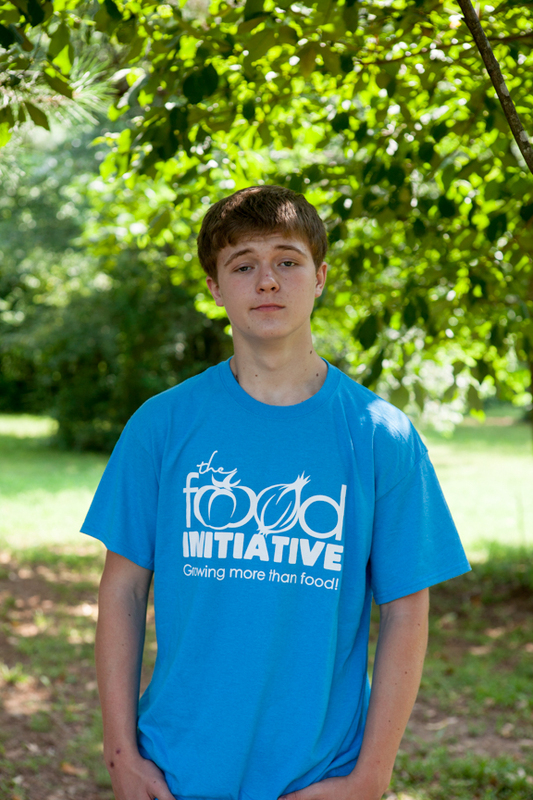 Patrick and Catherine Smith, along with a group of supporters set out to create a positive outlet to reach teens. 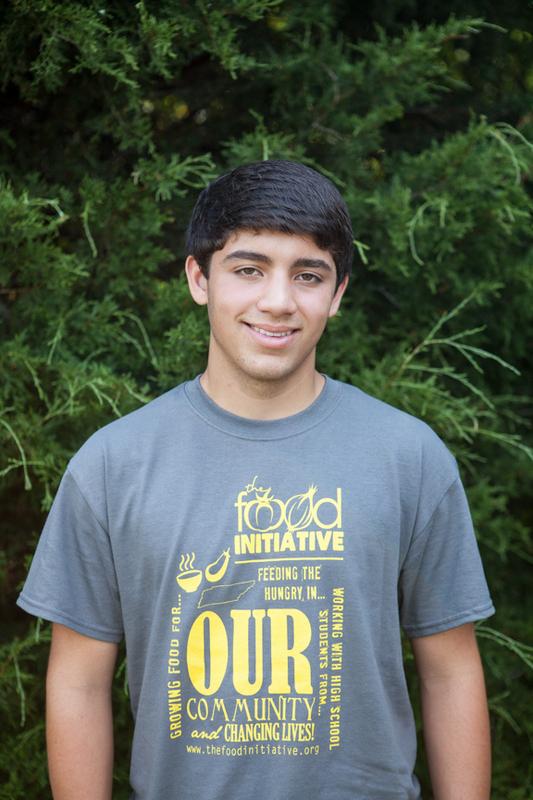 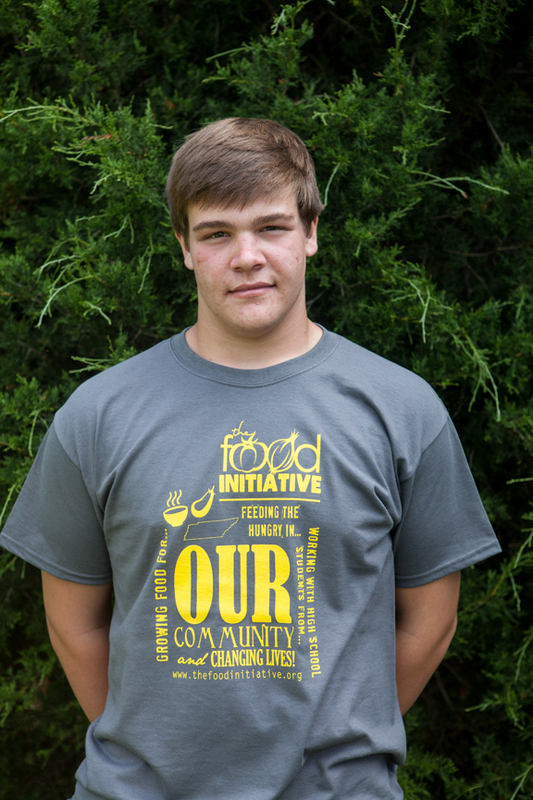 Through this group, The Food Initiative began. 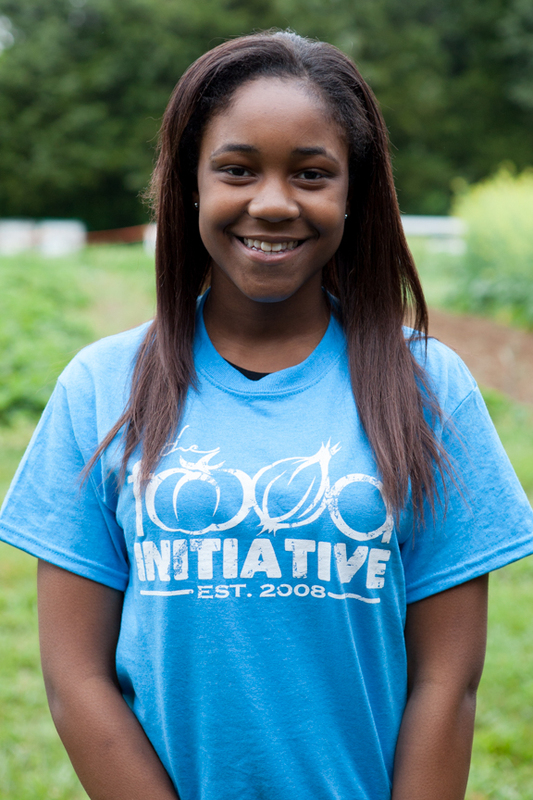 The vision of creating personal and social change through hard, meaningful work began with work in the garden. 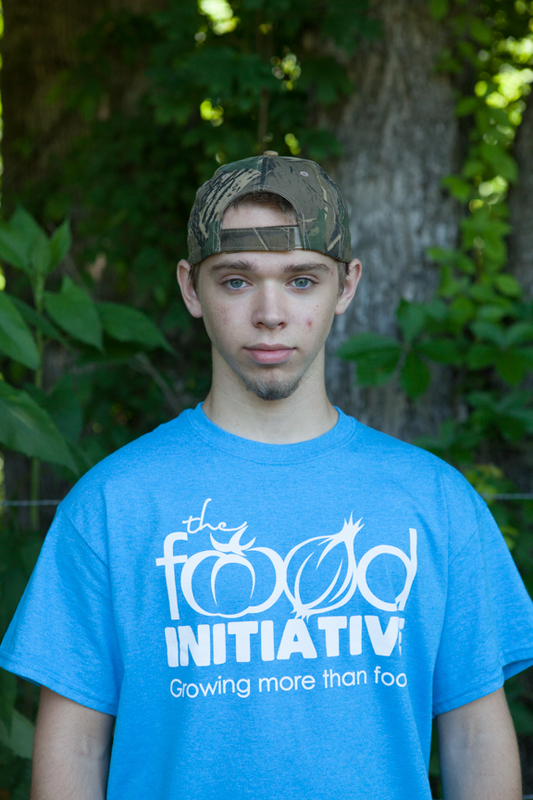 That work continued at local hunger relief organizations and all throughout Clarksville. 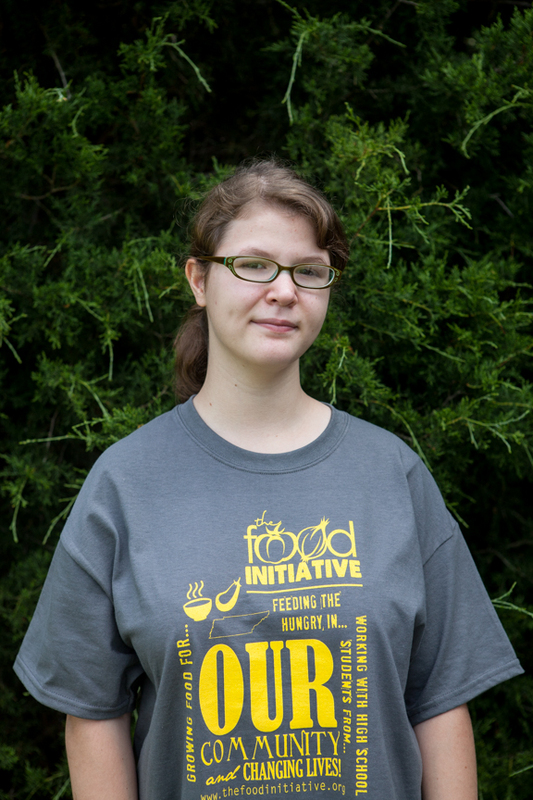 Since the pilot program trial in 2008, The Food Initiative has grown tremendously. 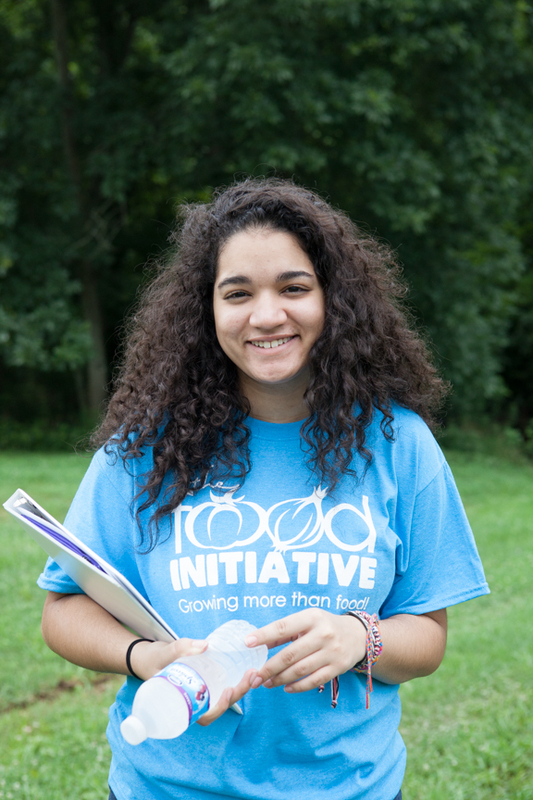 While we young people are still front and center in our programming, our mission has expanded to include opportunities for people of all ages. 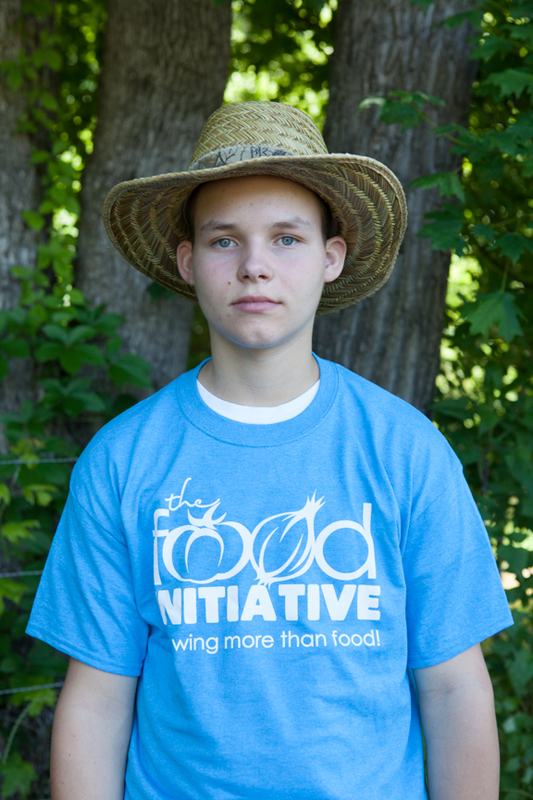 In addition to the programming, the farm has also grown. 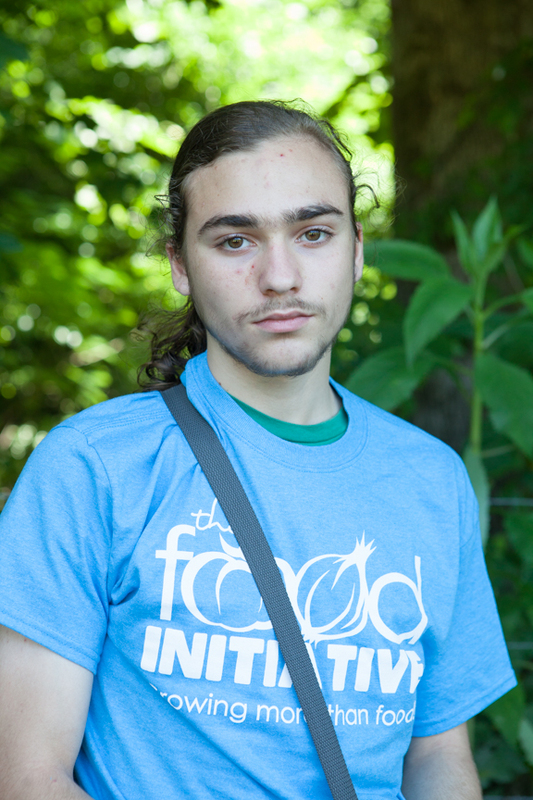 TFI began its programs around a small garden plot of less than a quarter acre. 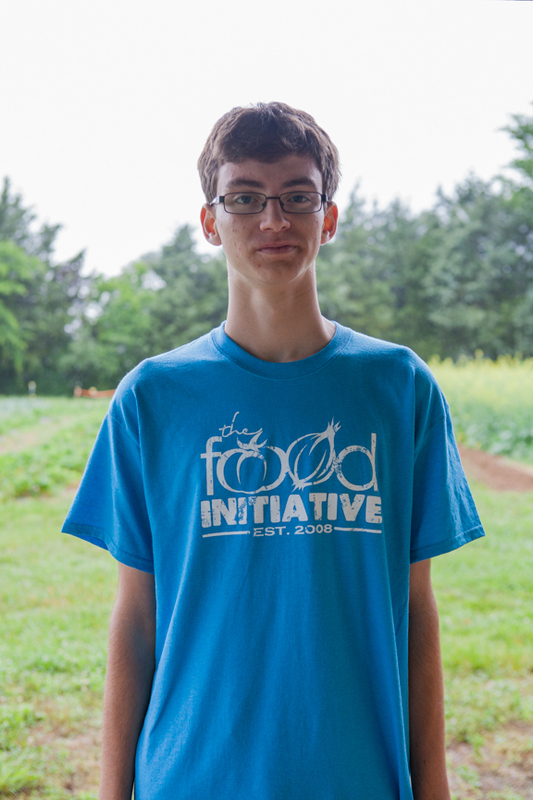 Now our farm site is over twelve acres and includes not only fresh produce but chickens, goats, pigs, honey bees, mushrooms, and more. 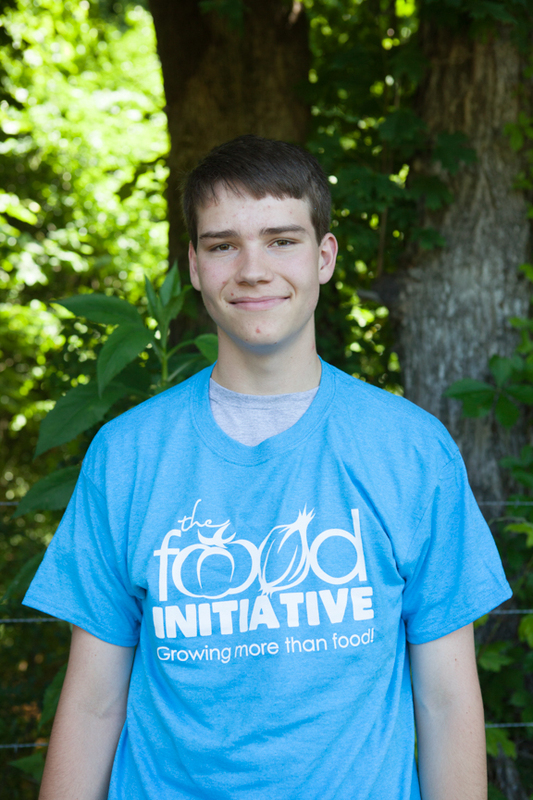 We are excited to continue this growth in both programming and food production into the future. 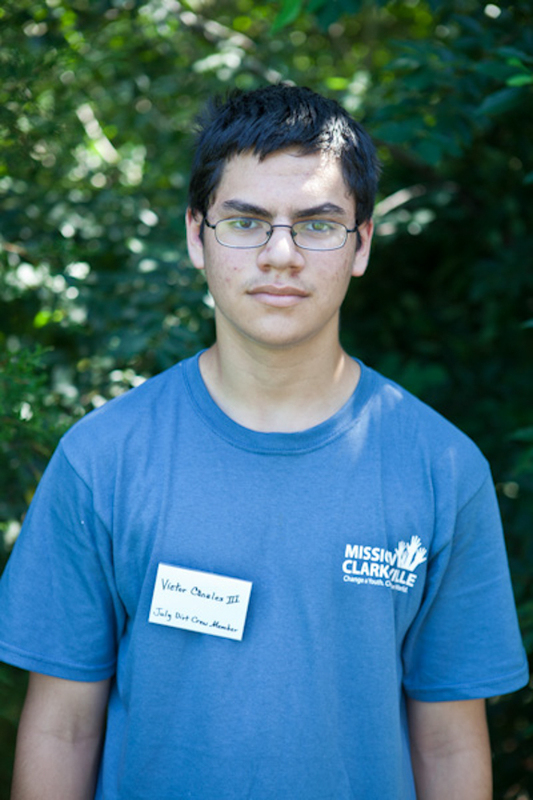 In the winter of 2005, a mission church of The Episcopal Diocese of Tennessee was planted in Clarksville. 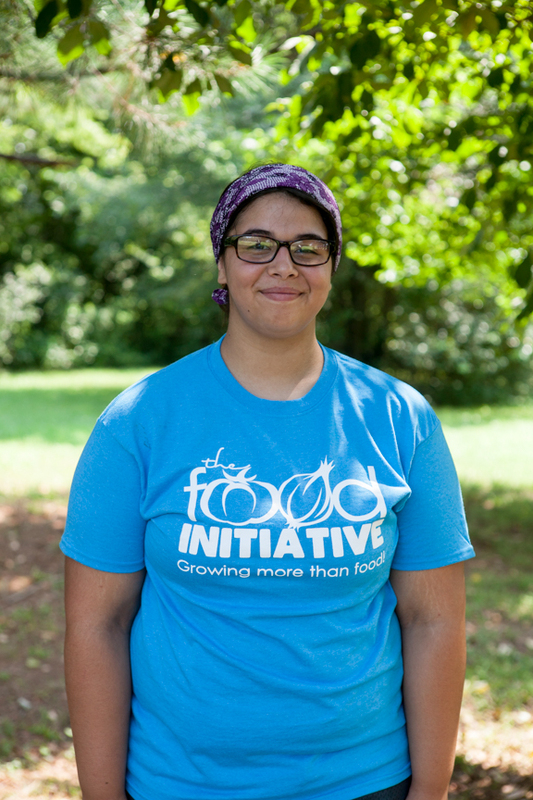 Very soon, the small congregation began to grow, not just numerically, but also in their desire to reach some of the most disadvantaged people in their community. 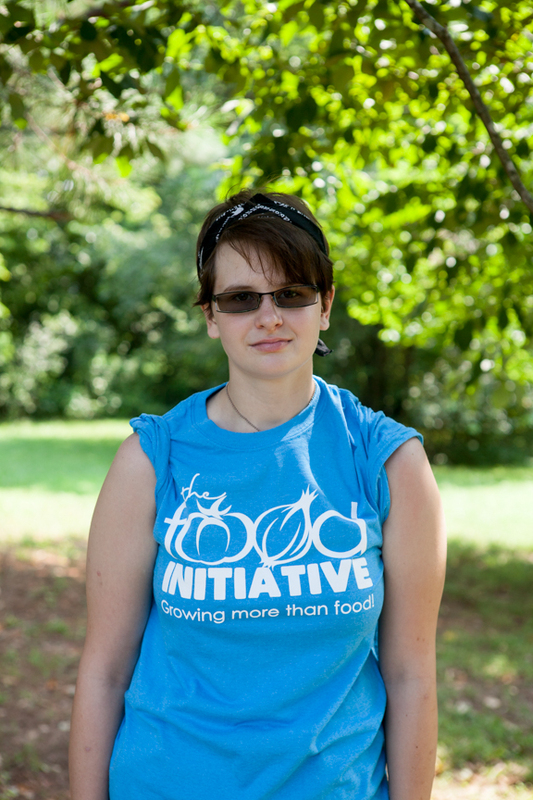 With that in mind, the mission (named St. John’s) began a garden for the poor on a piece of property off of Hwy 41A on Mt. 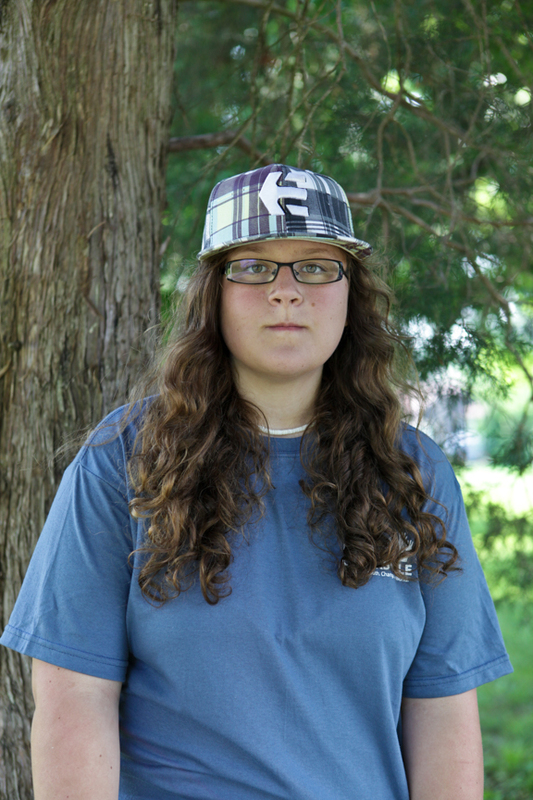 Carmel Rd. 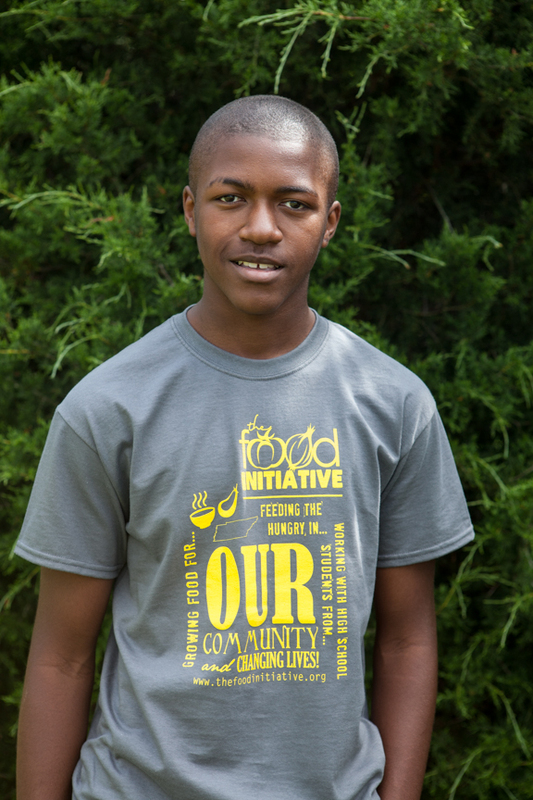 The idea was to cultivate a community that would feed more than just the minds and spirits of those gathered for worship, but also feed the mouths of those who knew the pains of physical hunger. 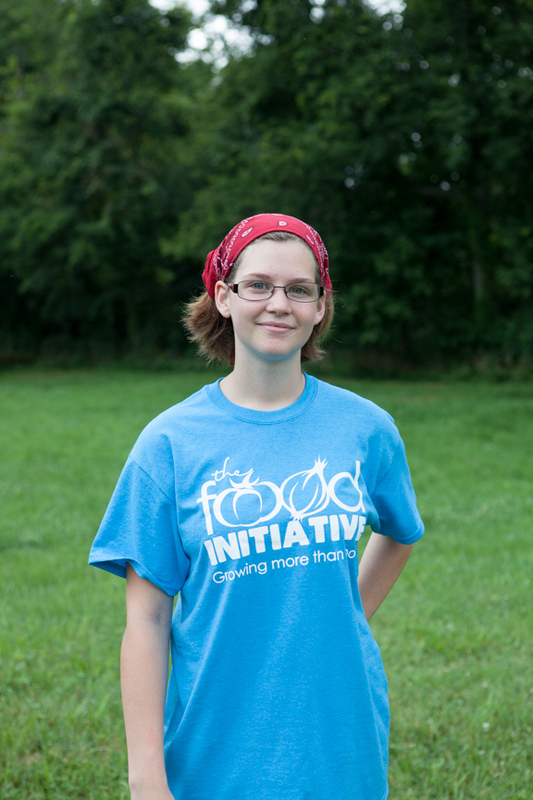 Over the course of two years there were some changes in Clarksville. 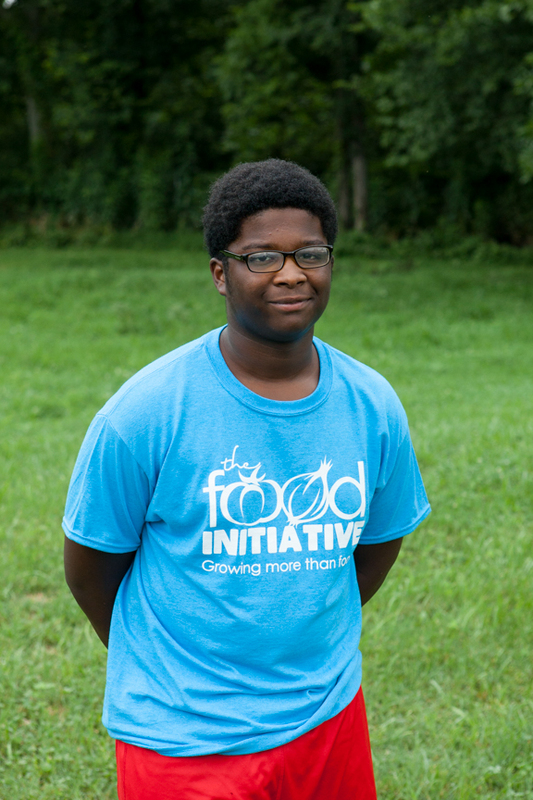 In the news there were more and more reports of gang violence, teen suicide, and similar issues that were beginning to show an effect upon the young people of our city. 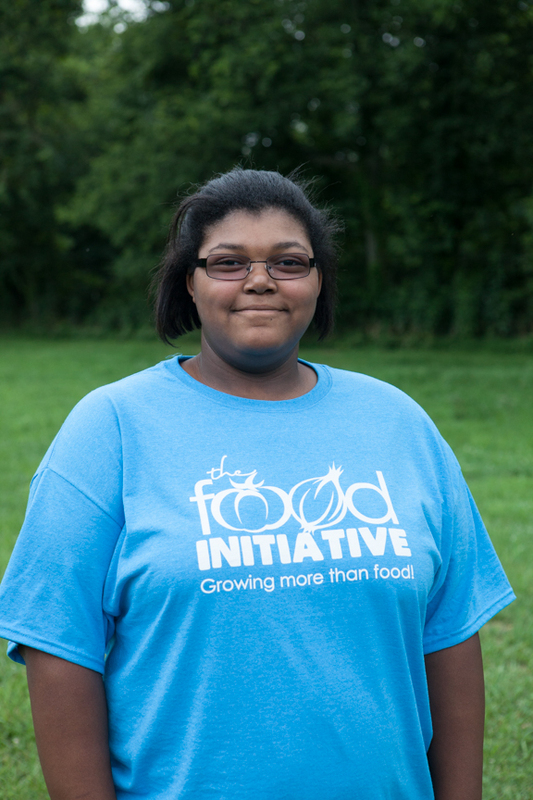 The issues became so significant, in fact, that the mayor organized a series of forums all over town where citizens could share their concerns and brainstorm for solutions. 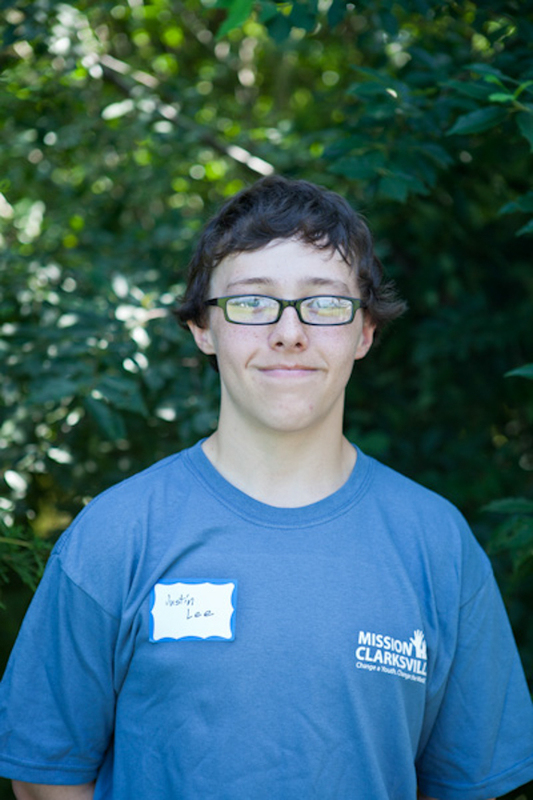 Very clearly, these new issues involving our young people began to press upon the hearts of the pastor of St. John’s, Fr. 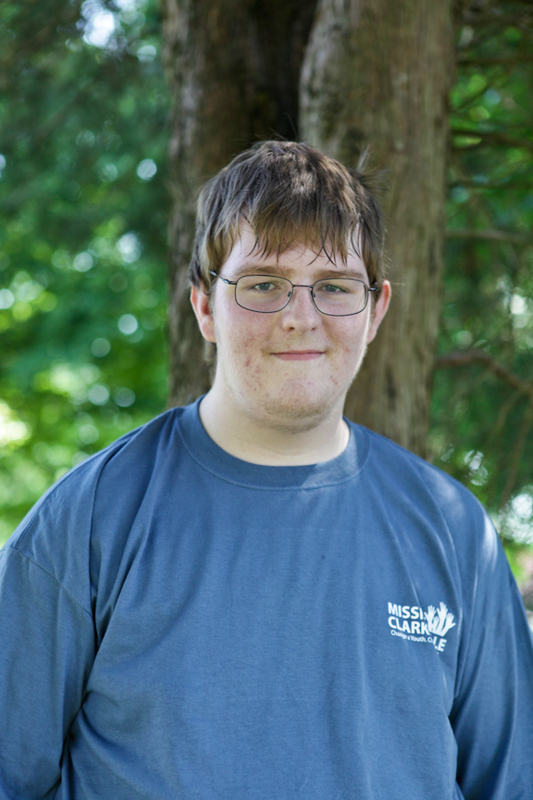 Patrick Smith, and his wife, Catherine. 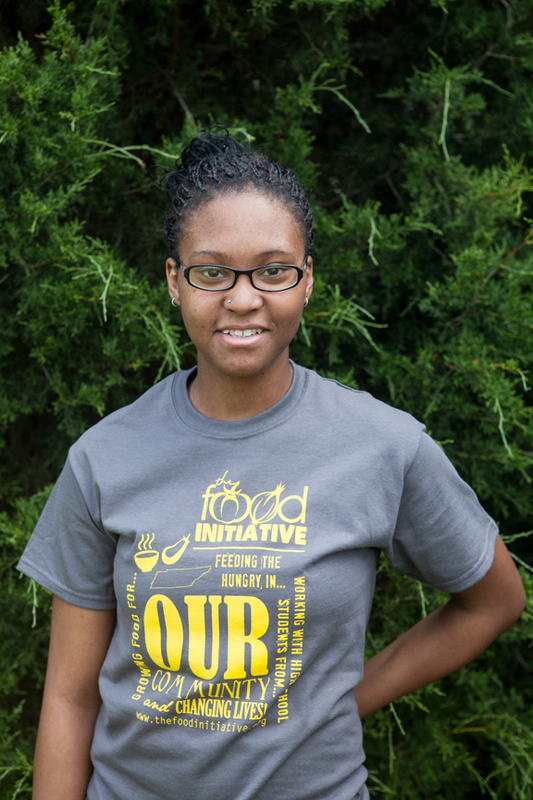 Together they began to wonder if there was a way to connect the issues of feeding the poor with the issues of youth empowerment and youth development. 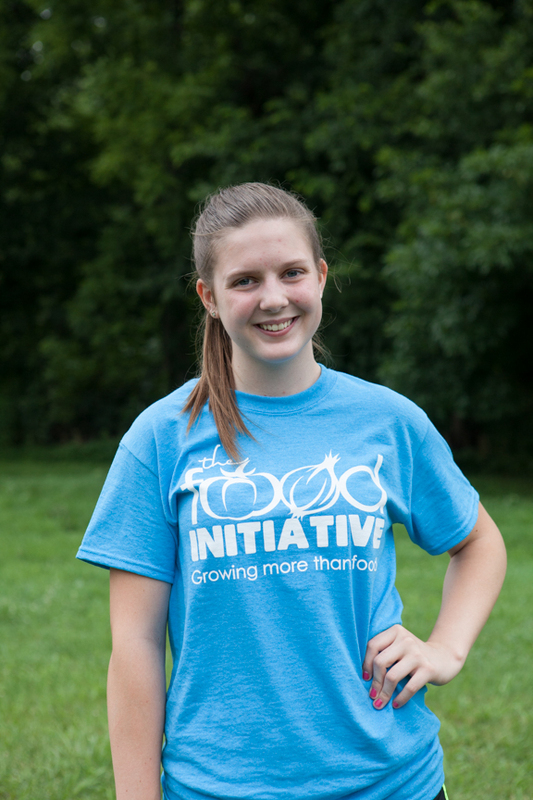 Miraculously, one day, Catherine was having a long distance conversation with one of her former youth group members from years back when she randomly brought up the subject of youth and gardening. 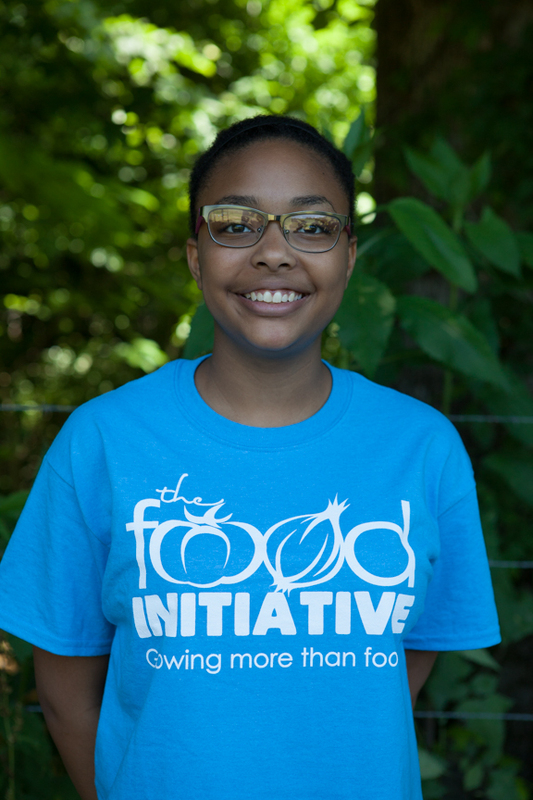 To her amazement, the young student was then employed by a non-profit organization outside of Boston, MA called The Food Project. 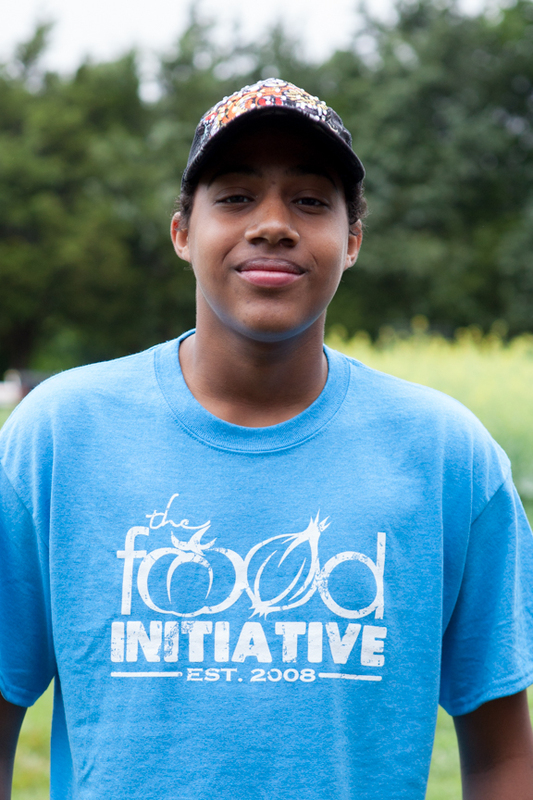 The mission of The Food Project is to engage young people in personal and social change through sustainable agriculture. 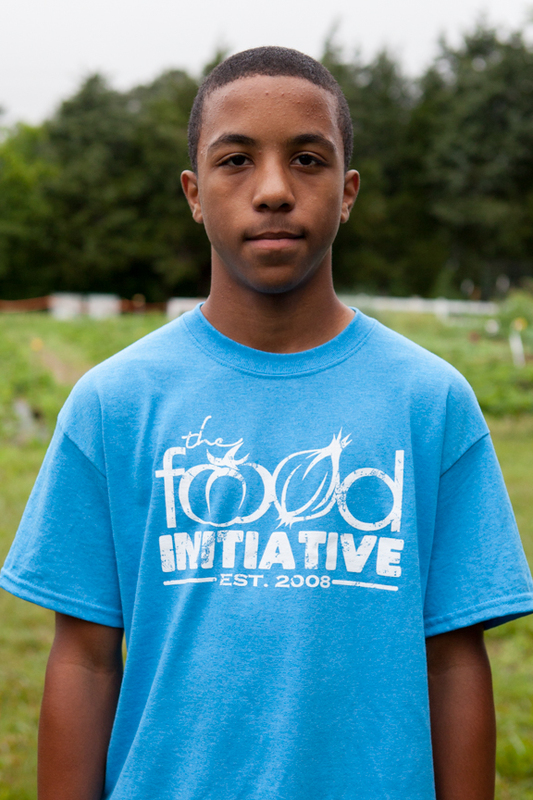 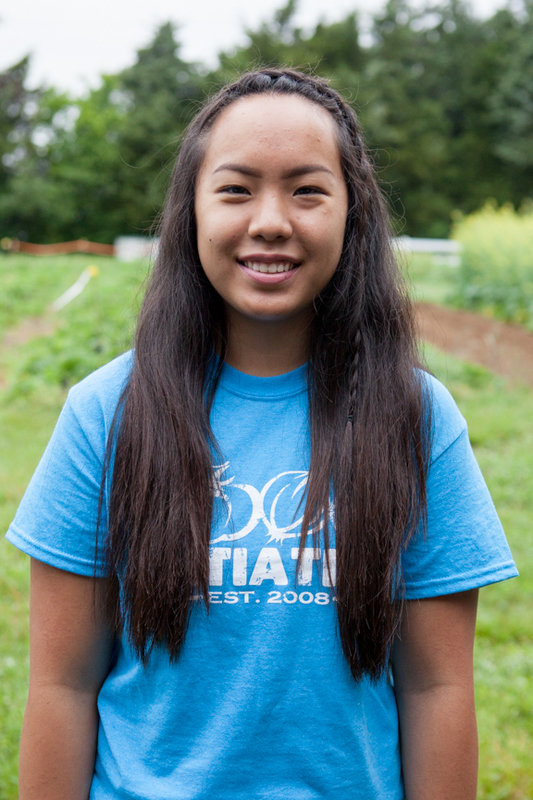 By gathering very diverse teenagers from all over Boston, and by employing them to work very hard growing food, The Food Project was cultivating a new generation of young people who were beginning to think very differently about themselves, each other and the world around them. 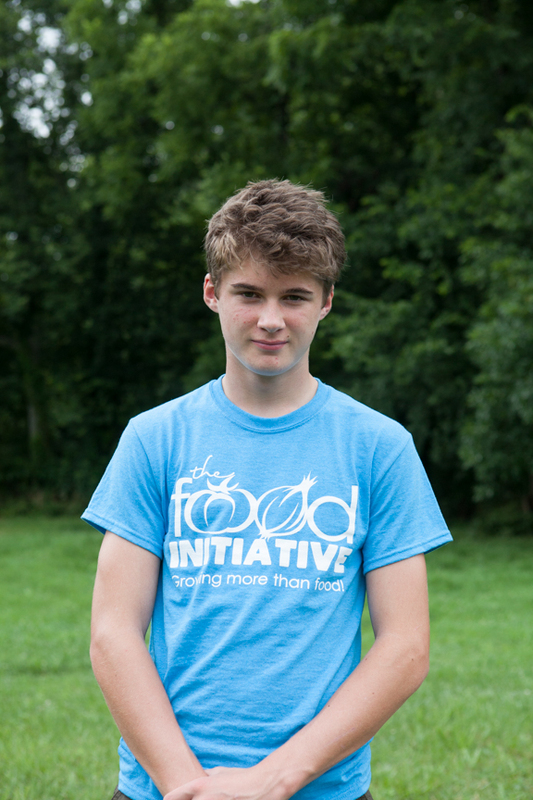 After hearing of The Food Project, Patrick and Catherine (and their 6 year old son, Jacob) traveled to Boston to participate in a 4 day intensive workshop where they were able to experience, first hand, the challenges and opportunities of engaging young people in such a profound and transformative way. 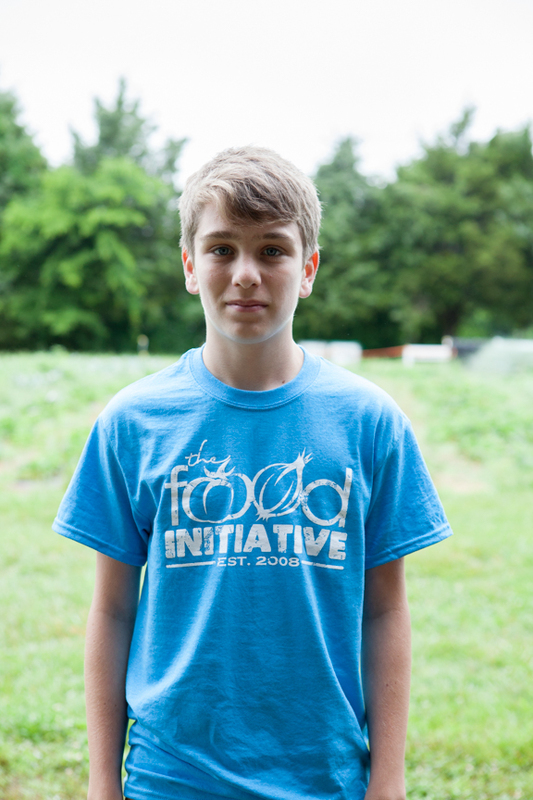 Upon their return, the idea was shared with friends over dinner one night in the home of Dr. David Haase, M.D., a local integrative and functional medicine doctor and his wife, Janet. 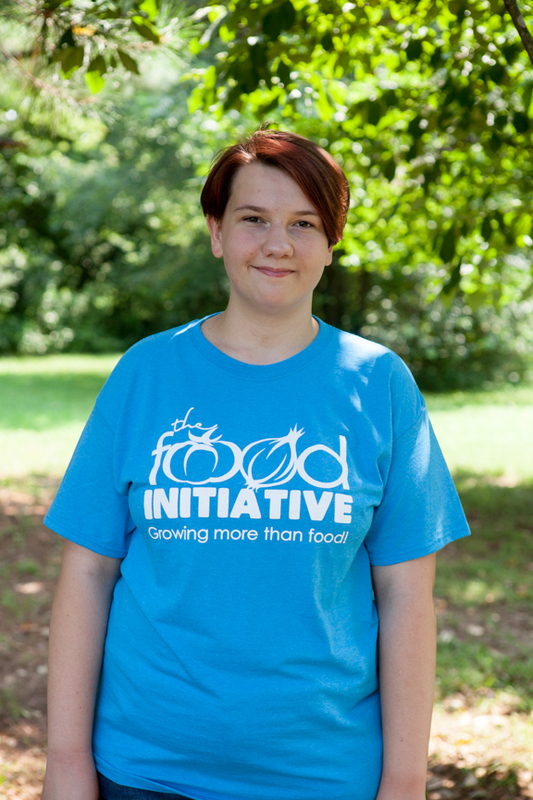 It was during dinner that the youth development organization along with the name “Mission Clarksville” was born as well as her food growing program called “The Food Initiative.” A 501c-3 was quickly donated by The Clarksville Vineyard Church. 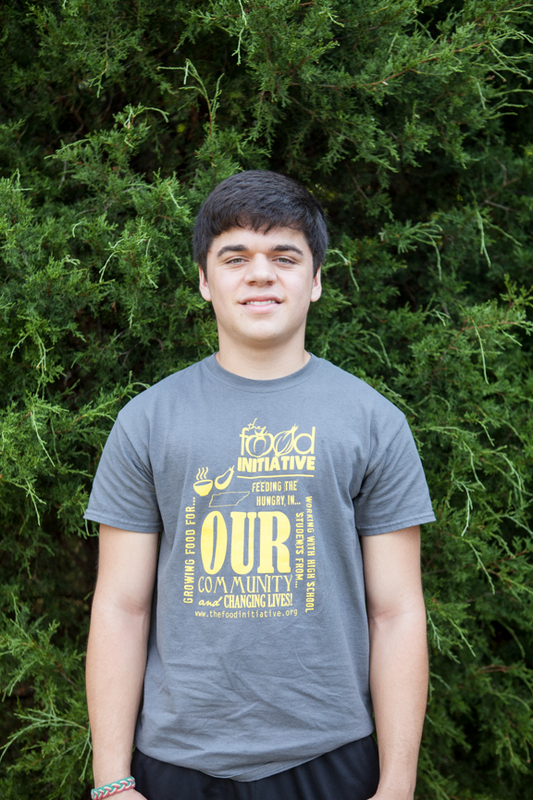 An office was freely offered by Christ Presbyterian Church. 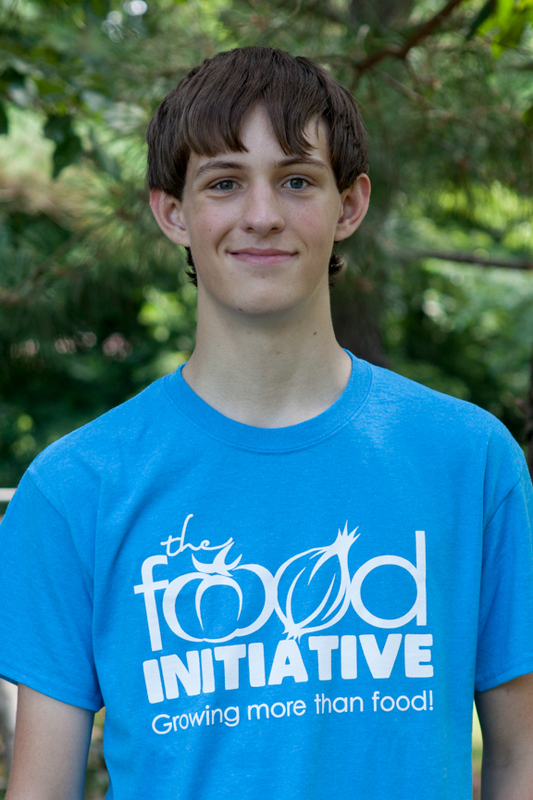 A Board of Directors was formed. 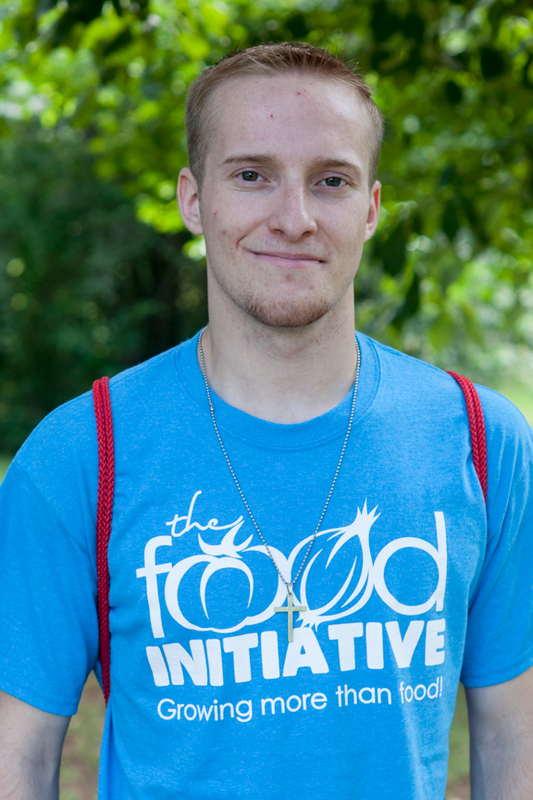 Patrick was hired as the Executive Director. 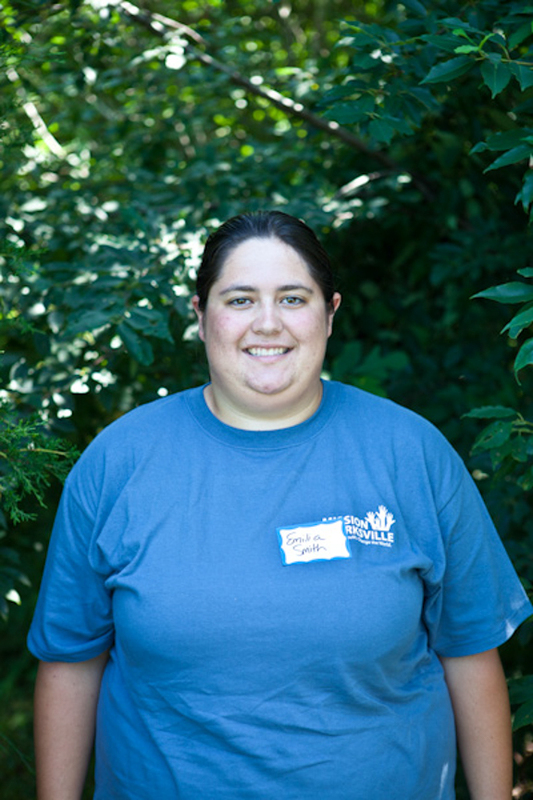 Catherine volunteered as the full-time Program Coordinator, and Janet Haas signed on as the Director of Development. 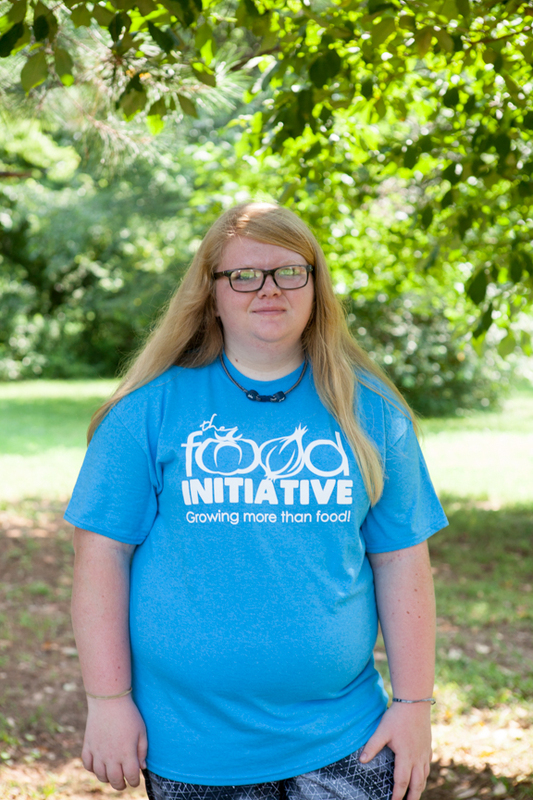 Initial financial resources were provided, in part, by contributions; however the vast majority of support was continued by Bishop John Bauerschmidt and the generous people of The Episcopal Diocese of Tennessee. 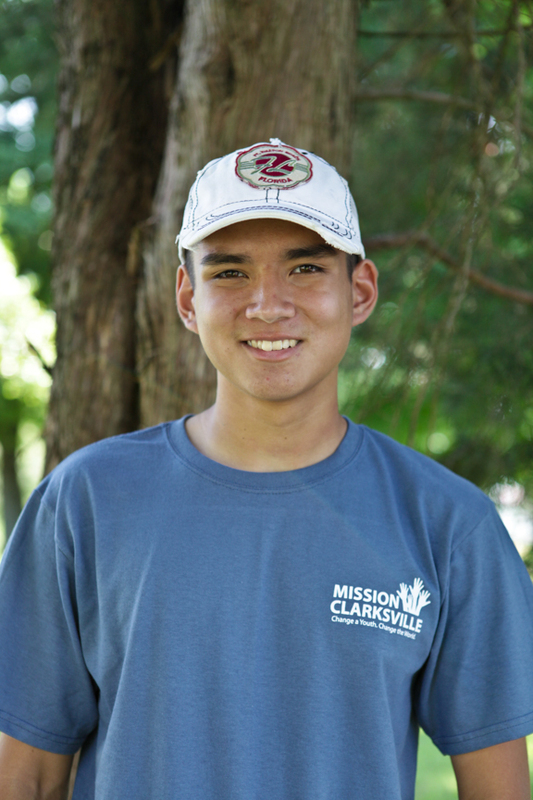 Though a non-profit was far beyond their initial vision when they first planted the mission of St. John’s, Bishop Bauerschmidt was able to recognize Mission Clarksville as an innovative, tangible and creative way of living out the mission of the church. 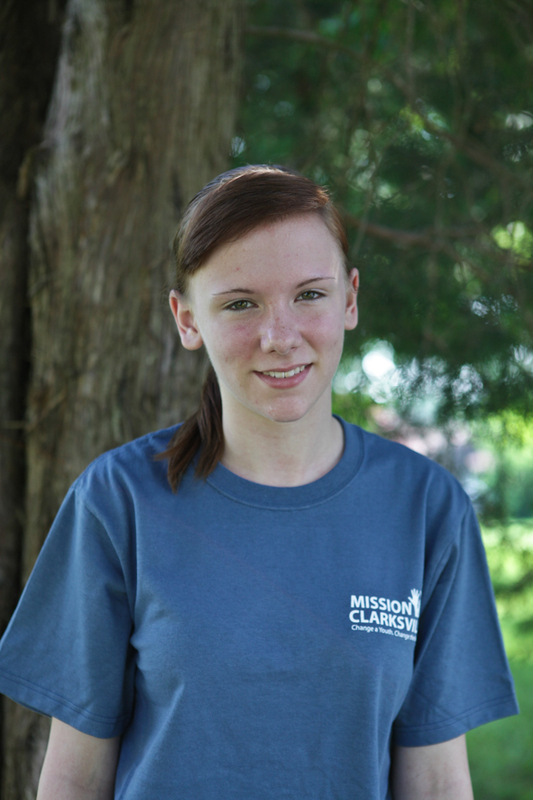 For the summer of 2008, the Board of Directors hired Maggie Matthew to serve as the first Site Supervisor of Mission Clarksville. 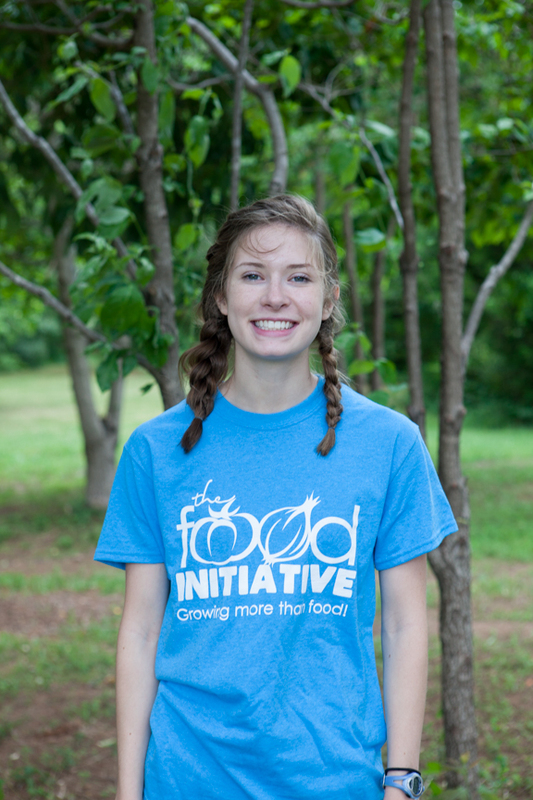 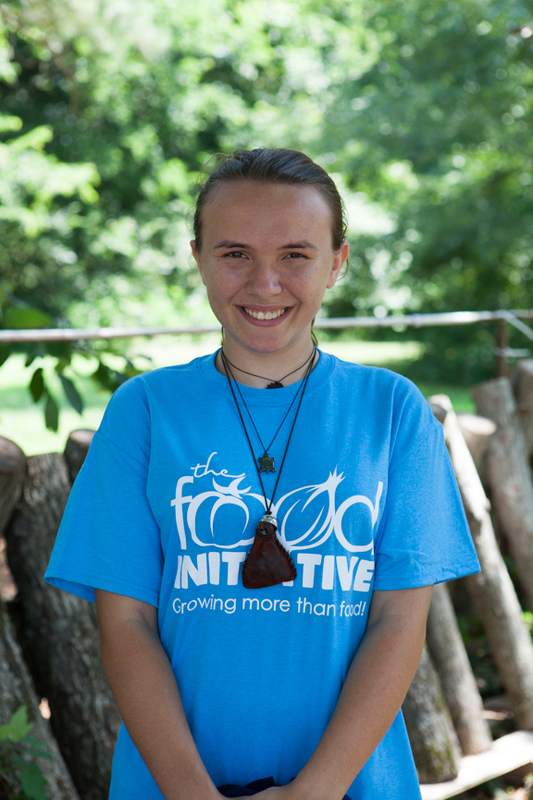 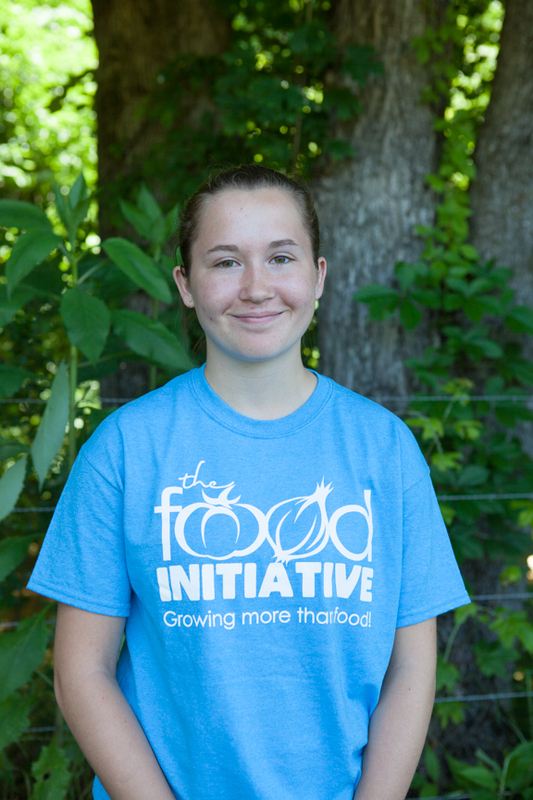 Maggie was the young student who first introduced Catherine and Patrick to The Food Project and she was currently finishing her Masters in Sustainable International Development from Brandeis University. 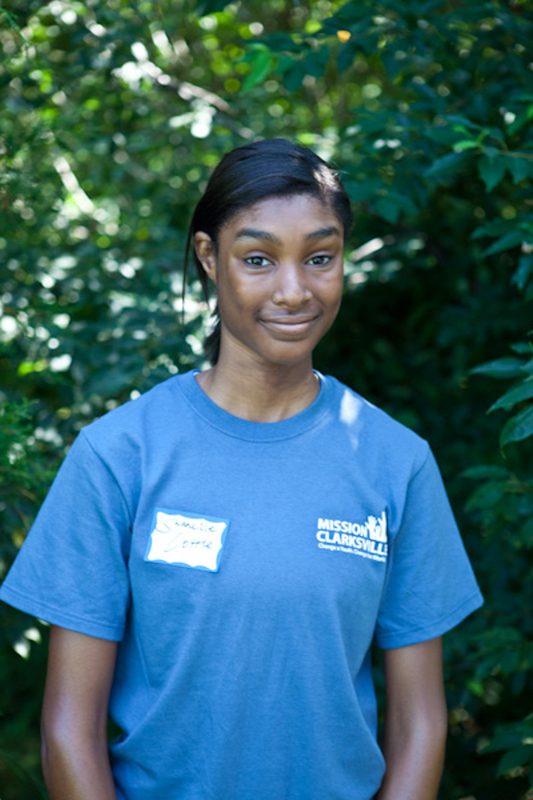 Student liaisons were established in every public high school, and these teachers and counselors were able to connect us with hundreds of high, low, and medium-risk students that the Mission Clarksville team would interview, narrow down, and then hire. 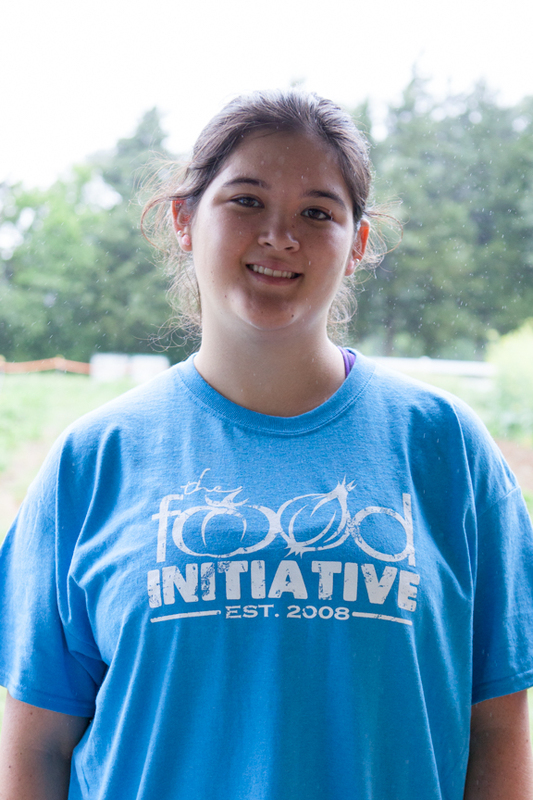 Eventually, the first Dirt Crew of 10 students was selected for the first June term. 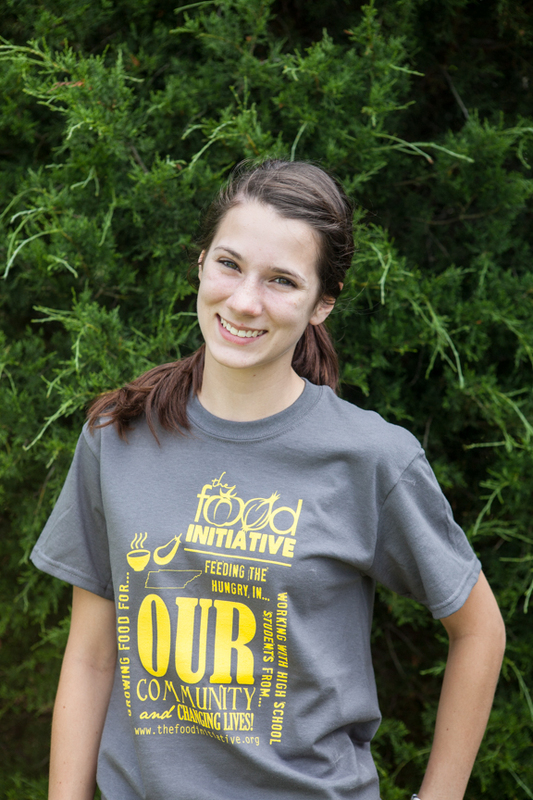 Another 10 were selected for the July Dirt Crew. 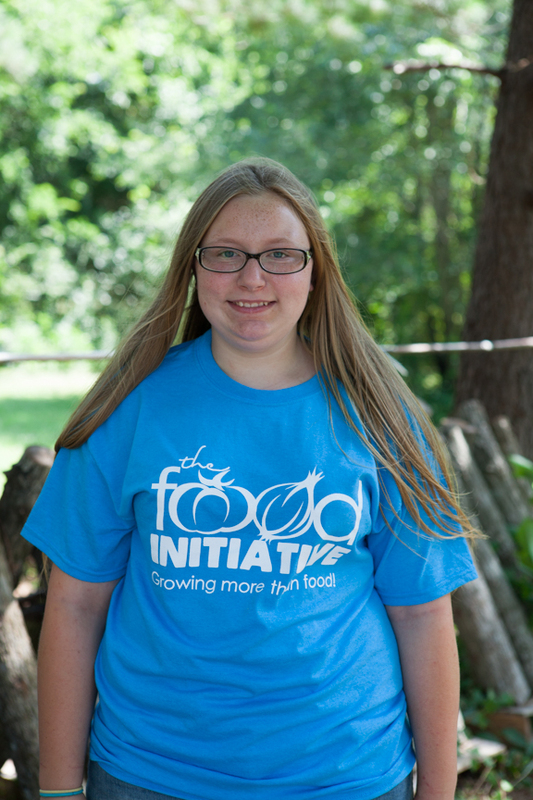 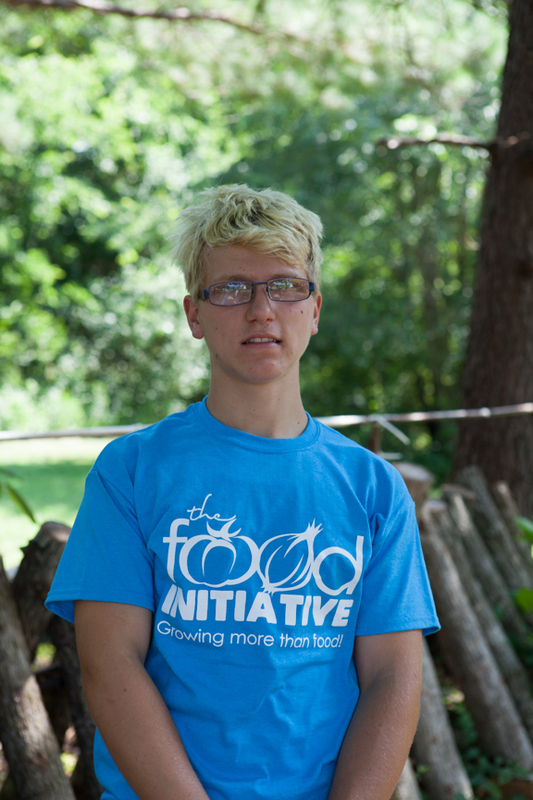 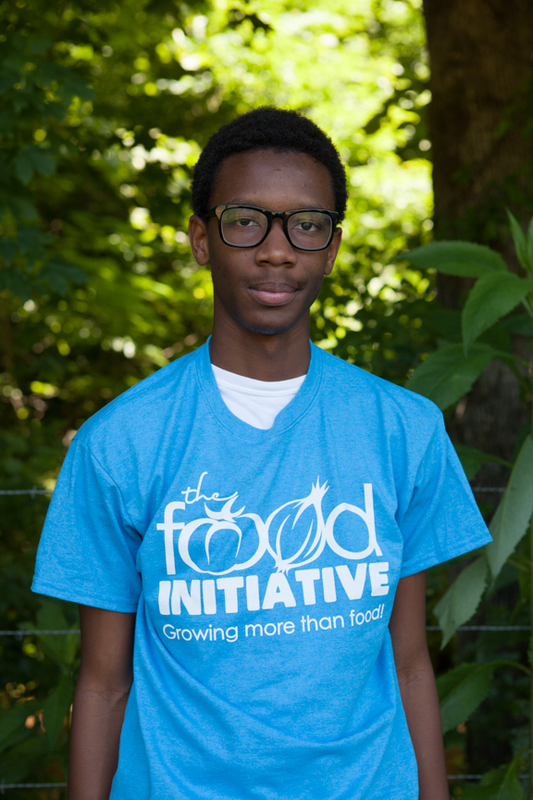 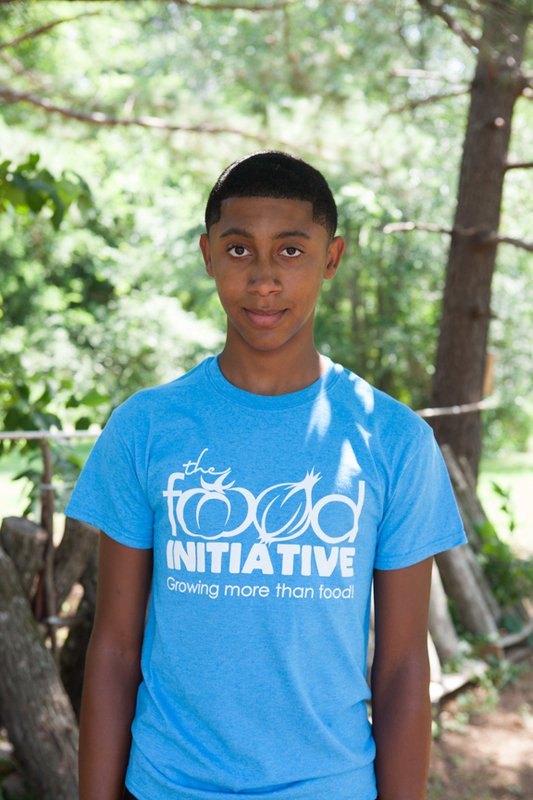 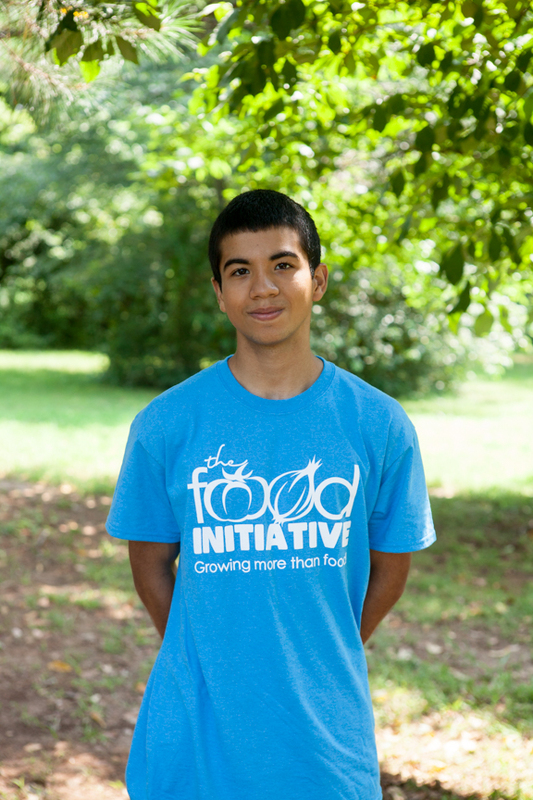 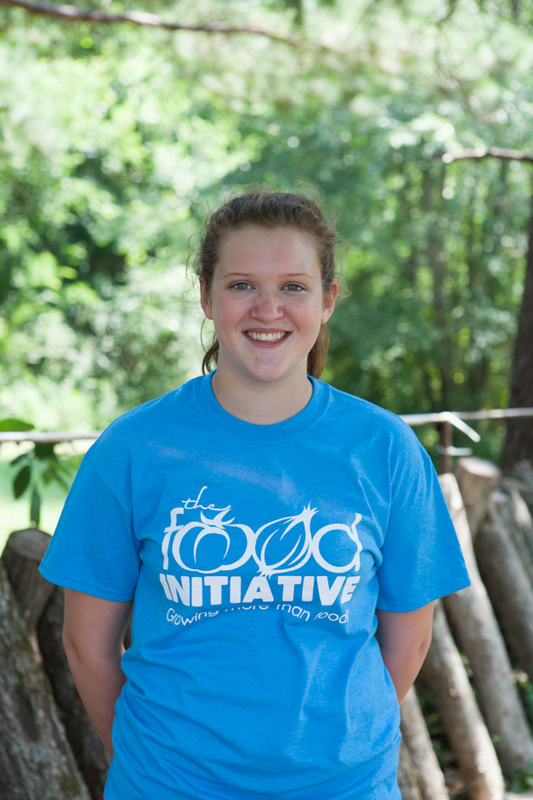 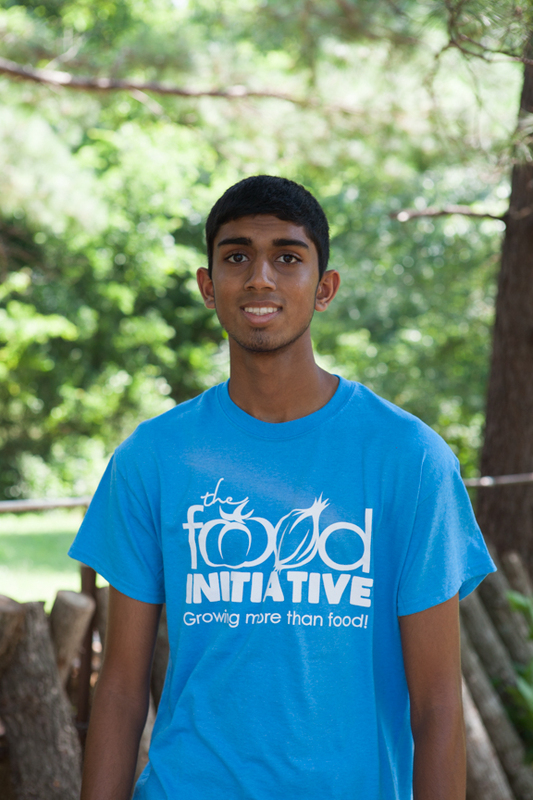 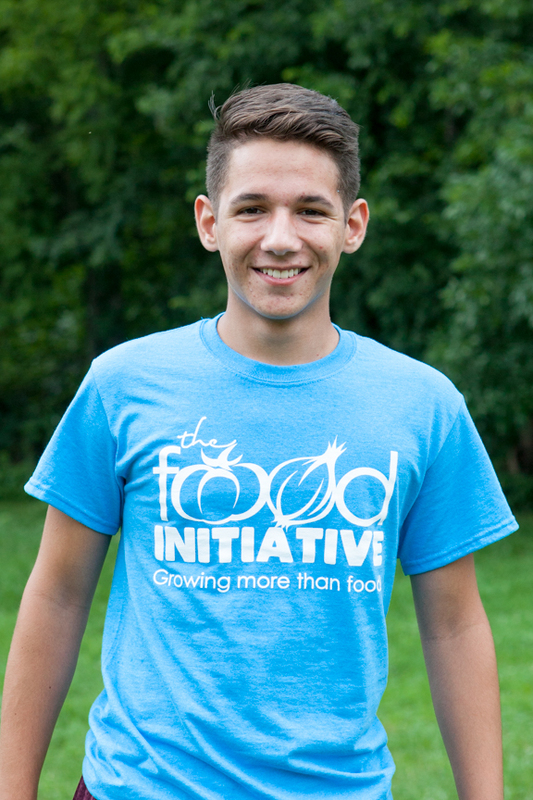 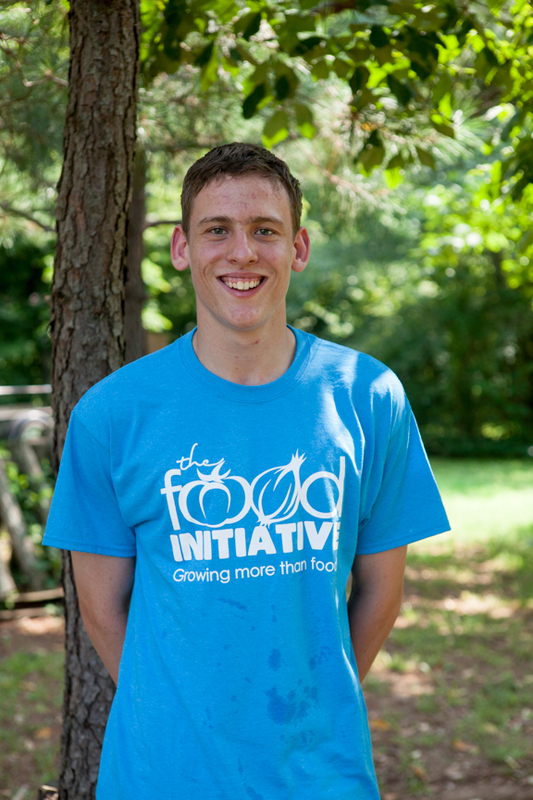 After the first summer, The Food Initiative began to grow. 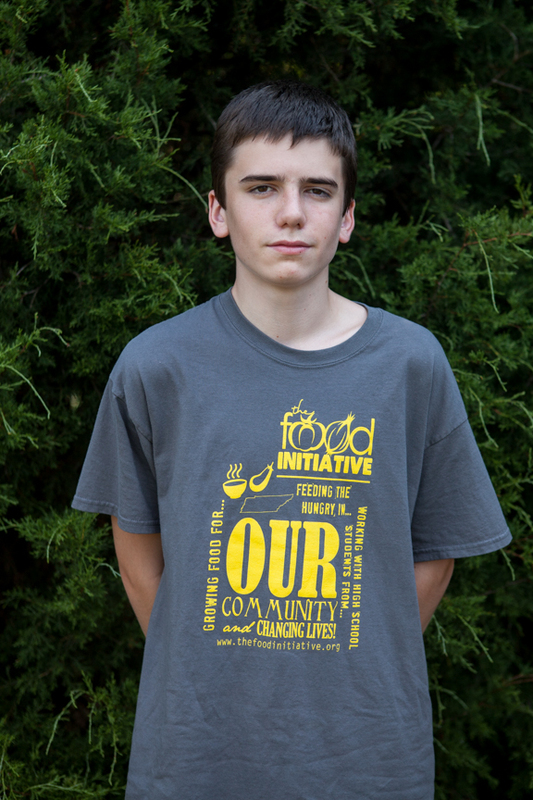 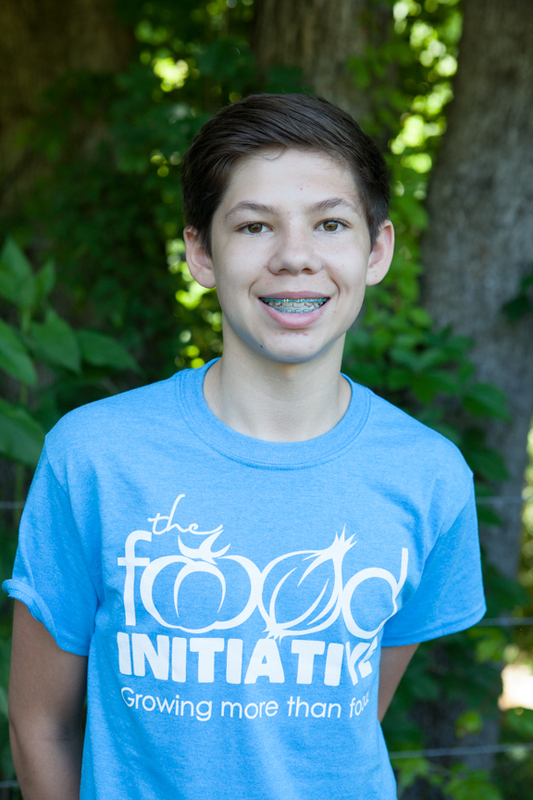 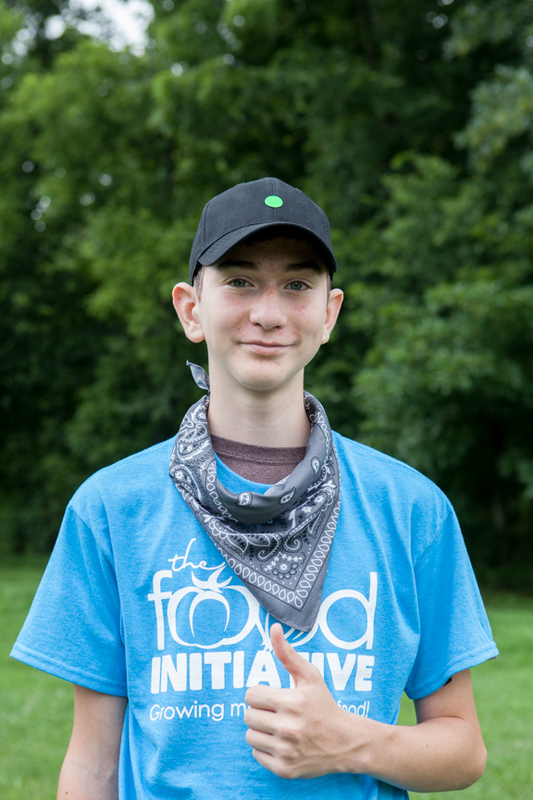 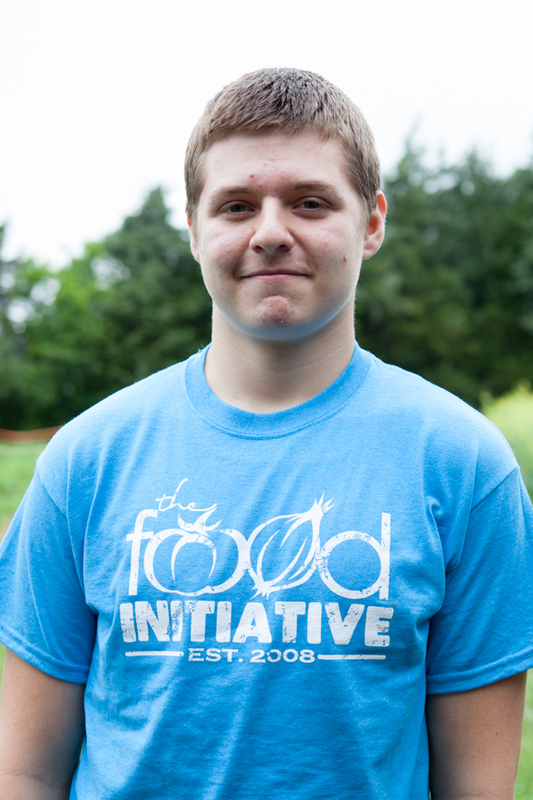 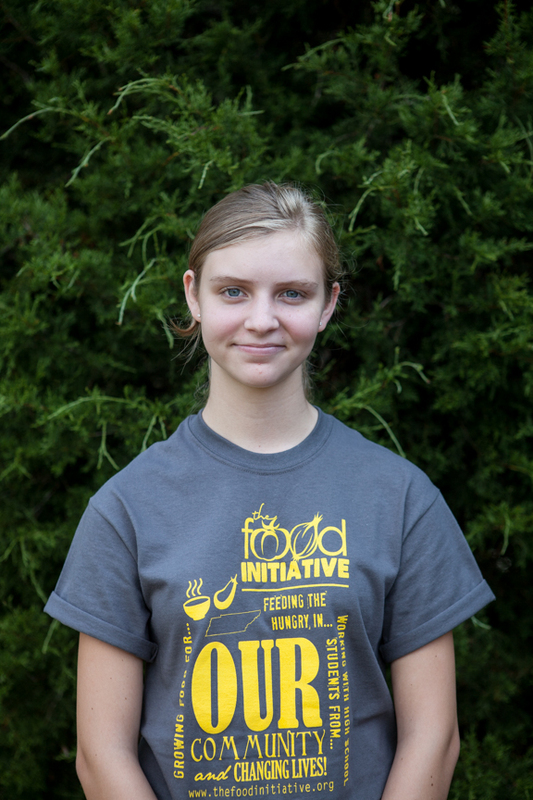 Due to the sheer efforts of Janet Haase and others, the organization was able to solicit corporate sponsors, grants and donors, all of whom were able to share the vision of a city-wide community of young people whose lives were forever changed because of their experiences at The Food Initiative. 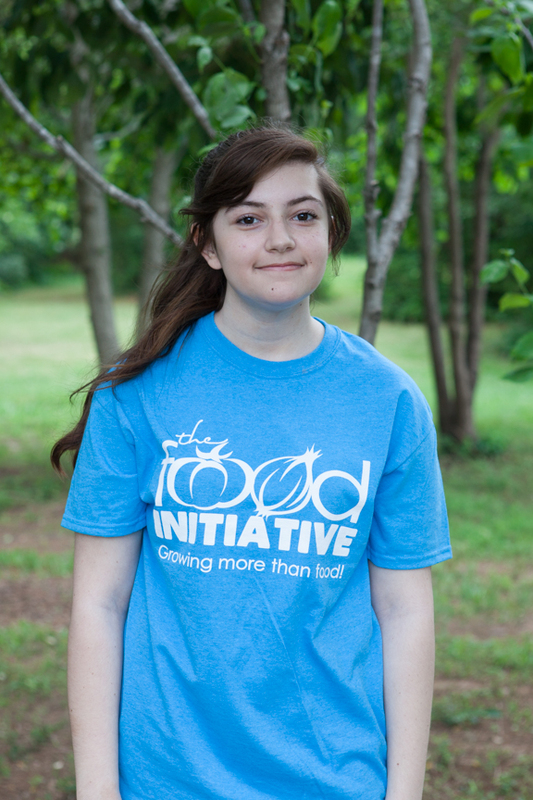 The only disappointment up to this point was the transition of Maggie who had to return to the northeast to finish her schooling. 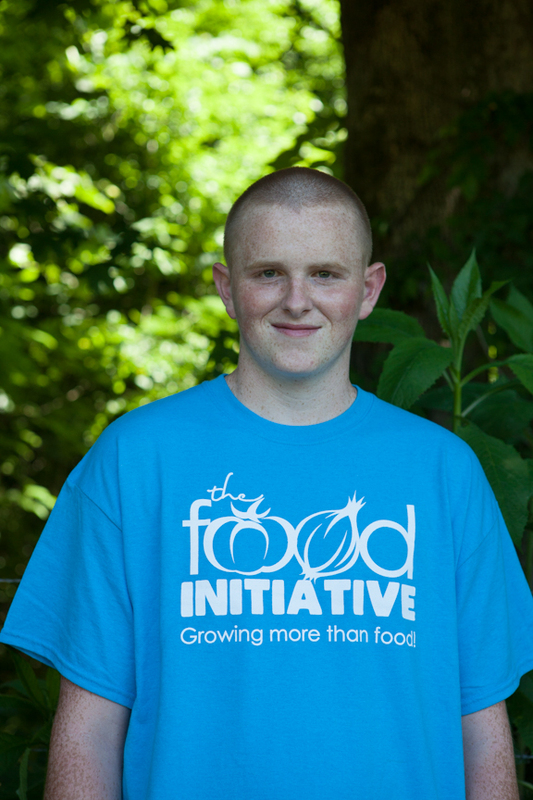 However, by the time 2009 rolled around, and after working alongside Maggie that first summer, Patrick was able to shift into Maggie’s former position as Site Supervisor and Michael Hampton was able to be hired as the new grower/farmer. 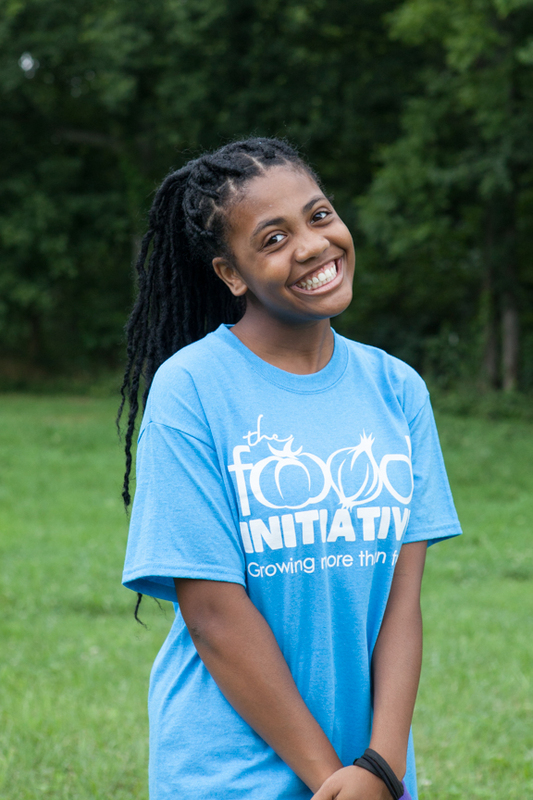 The experience proved to be invaluable to everyone as a new summer session and 20 more youth were able to participate, inspire, and make a difference in the lives of those around them. 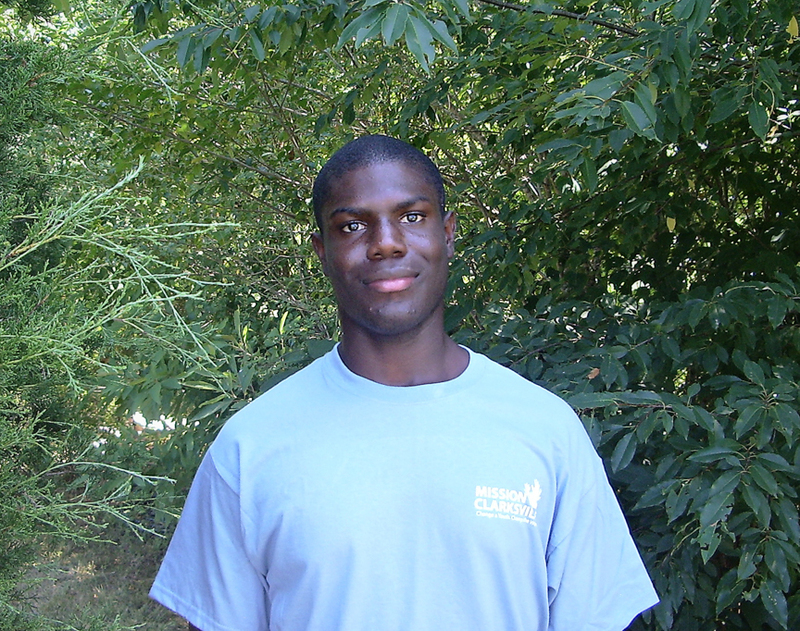 In the fall of 2010, Fr. 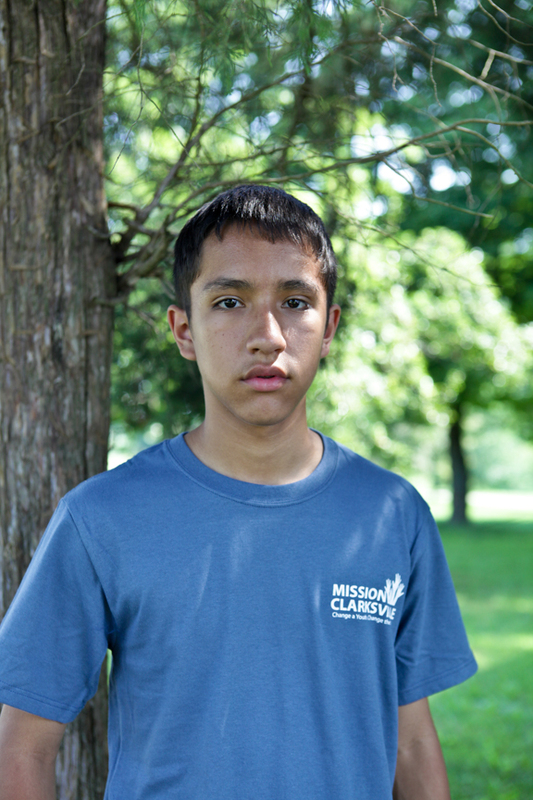 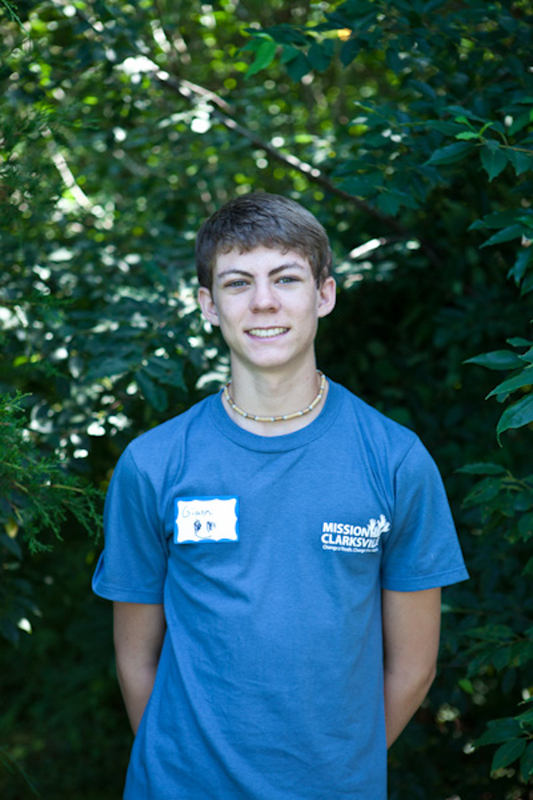 Patrick and his family departed Clarksville to serve at a church in Western Illinois. 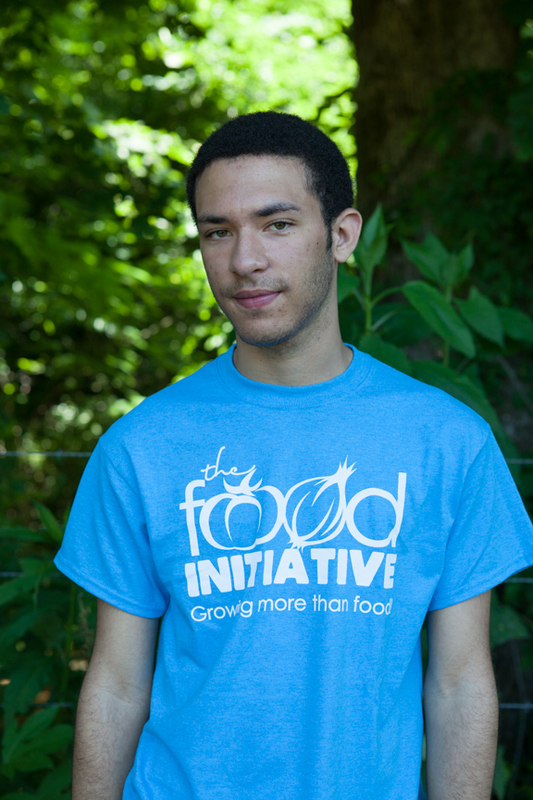 Michael serves as the new Executive Director and Grower; his wife, Regina, serves as the Program and Creative Director. 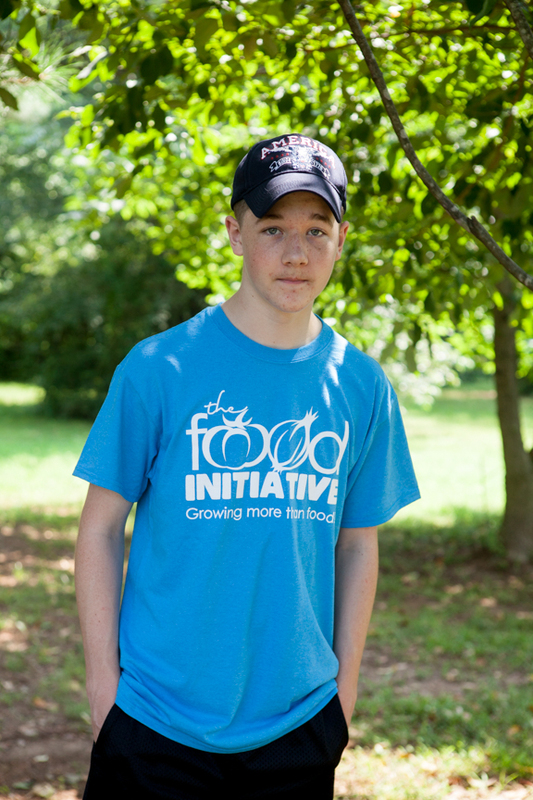 If you visit the farm you’ll probably meet their 4 children, Boone, Oliver, Marley and Porter playing in the dirt or working alongside dad. 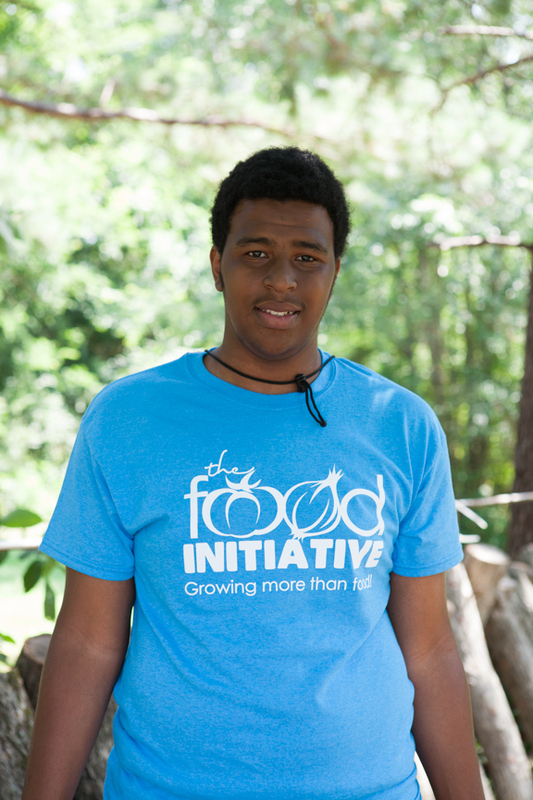 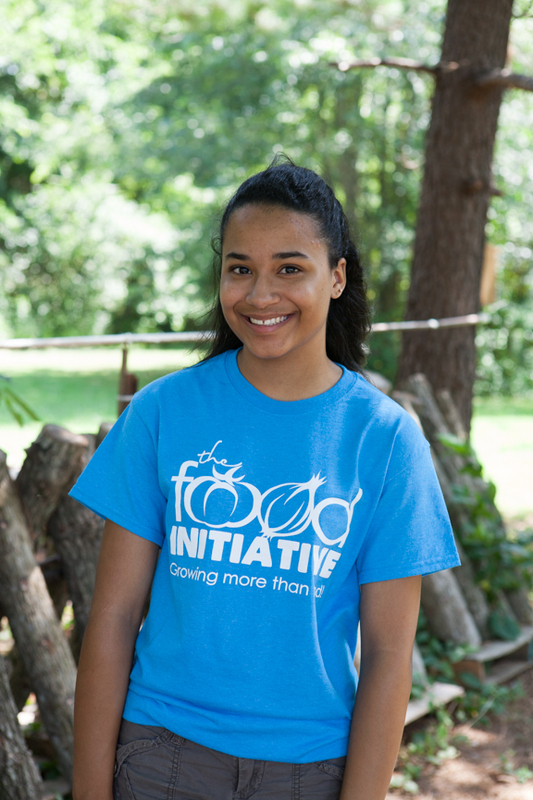 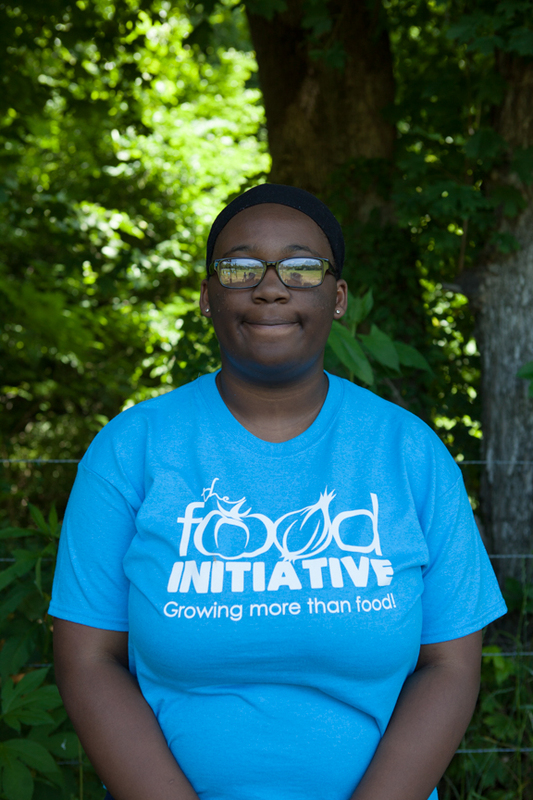 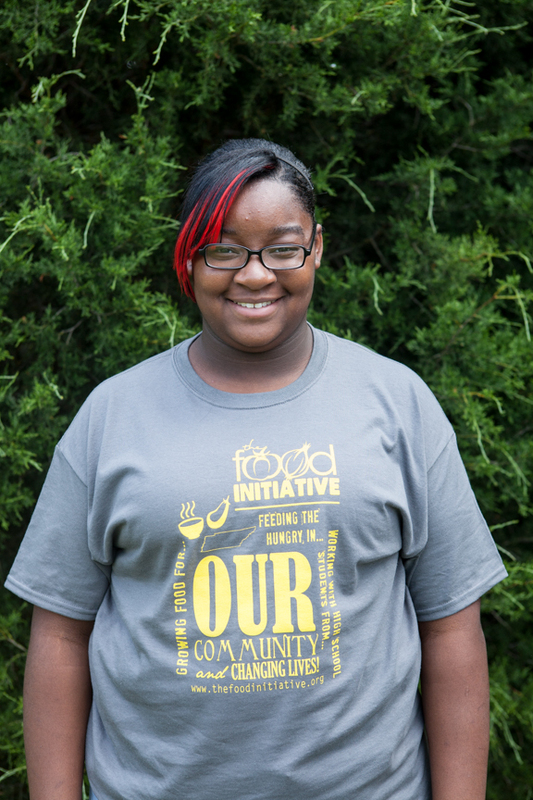 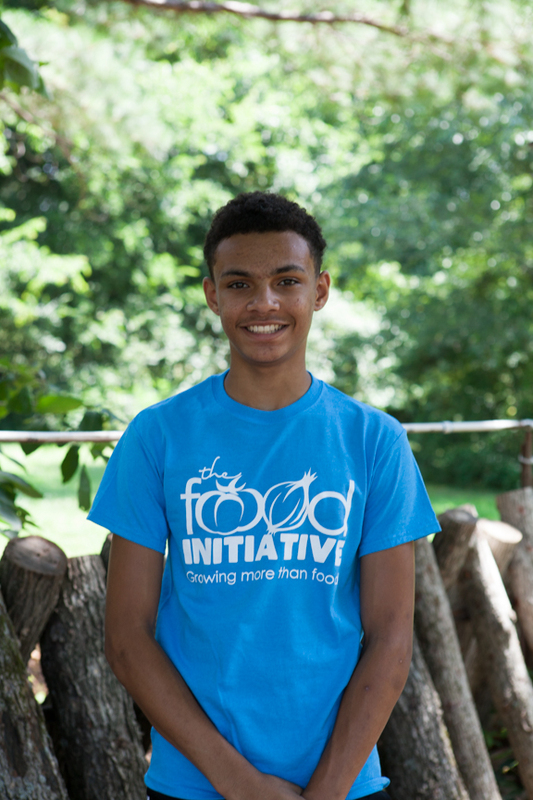 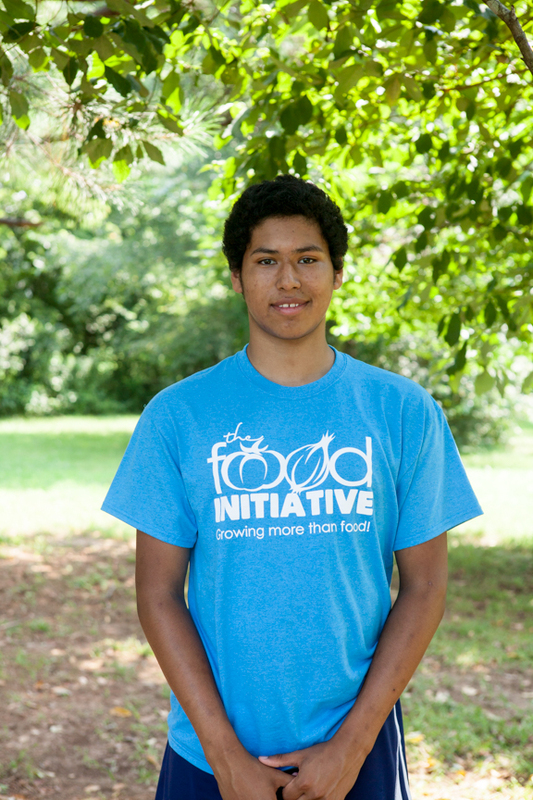 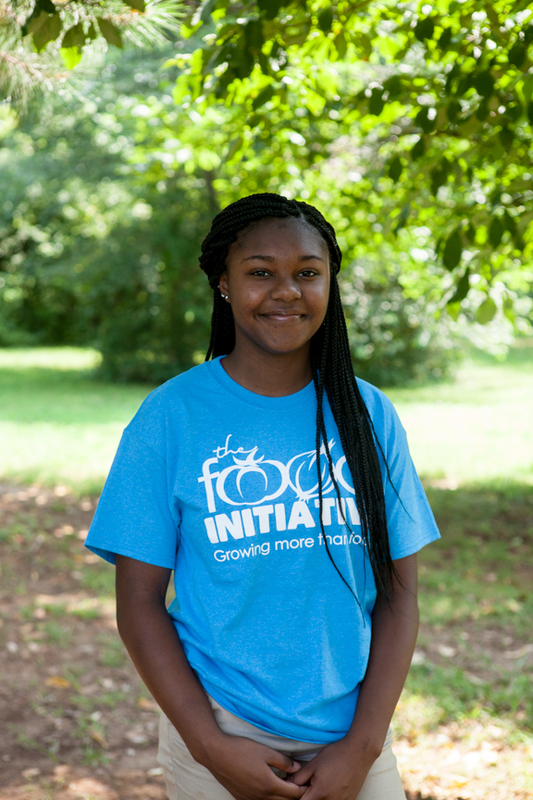 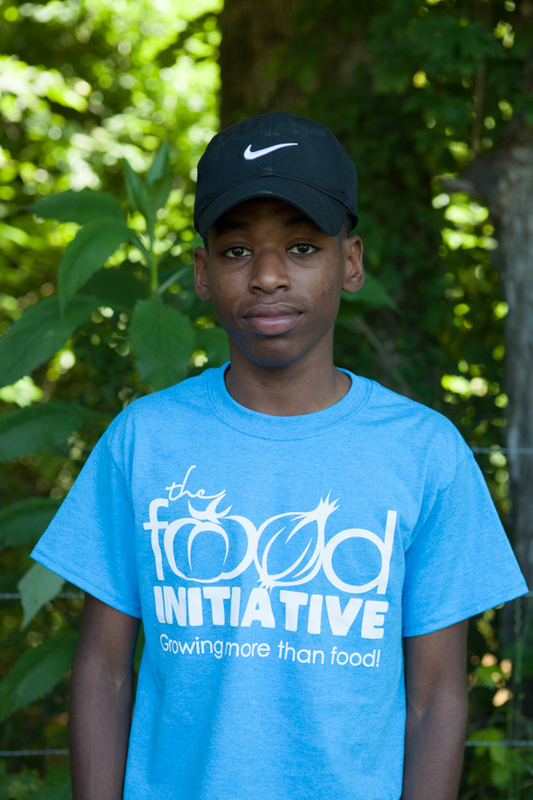 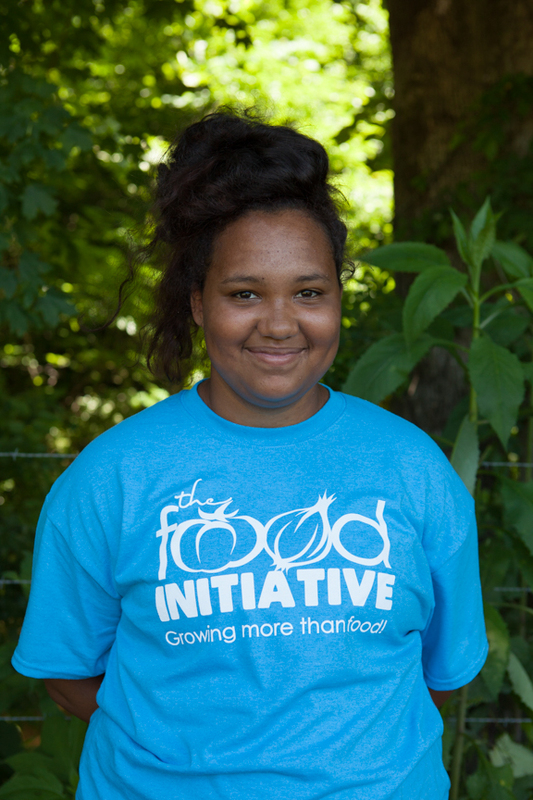 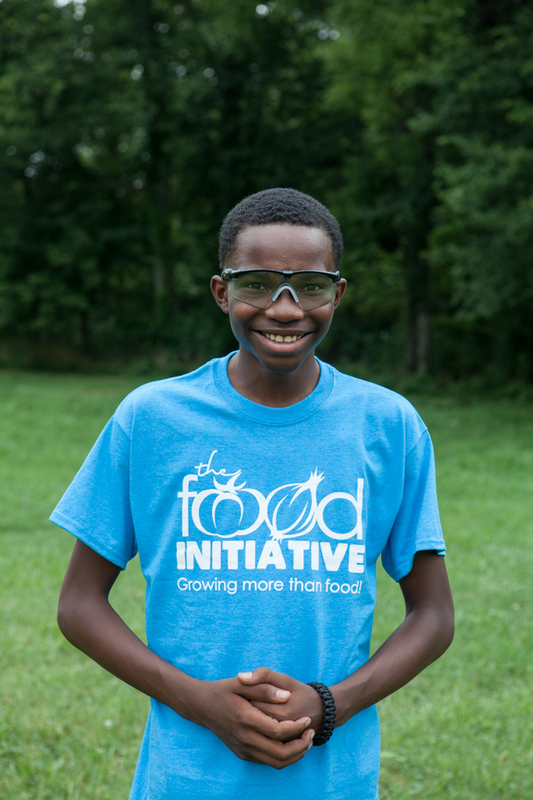 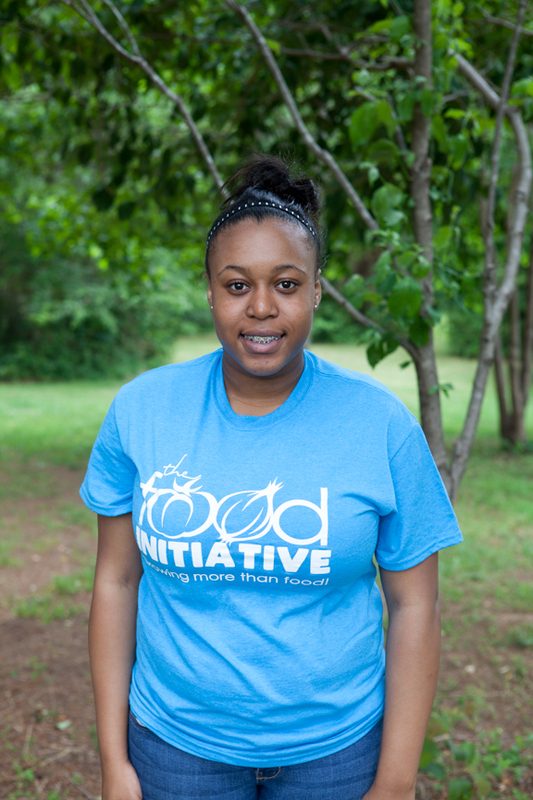 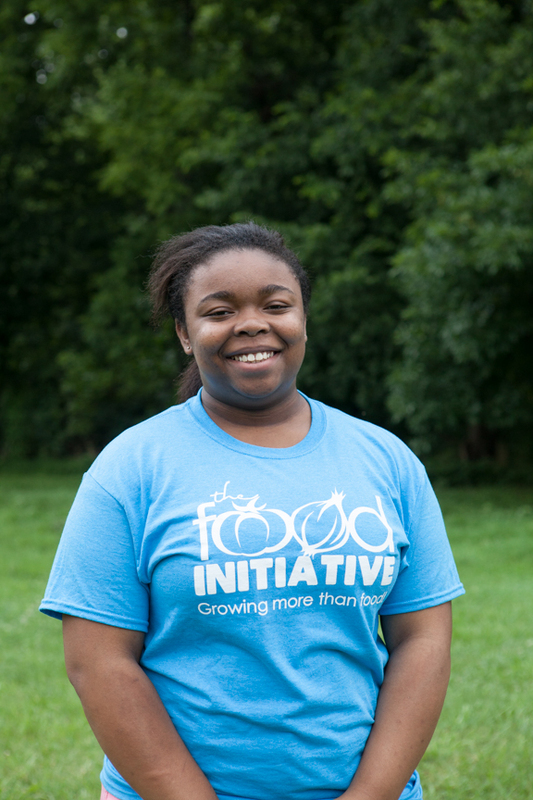 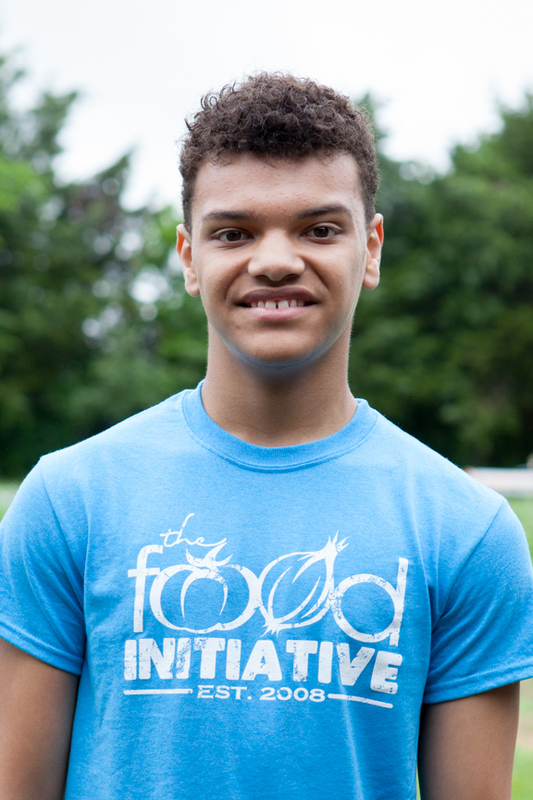 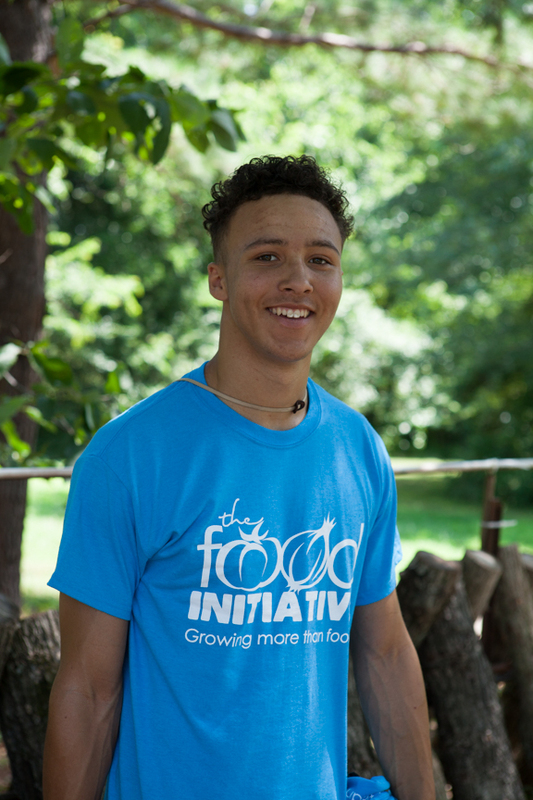 Today, The Food Initiative continues as a rigorous, community-building, transformative youth development organization that engages young people from very diverse backgrounds to work together for some of the most underserved and disadvantaged in Clarksville. 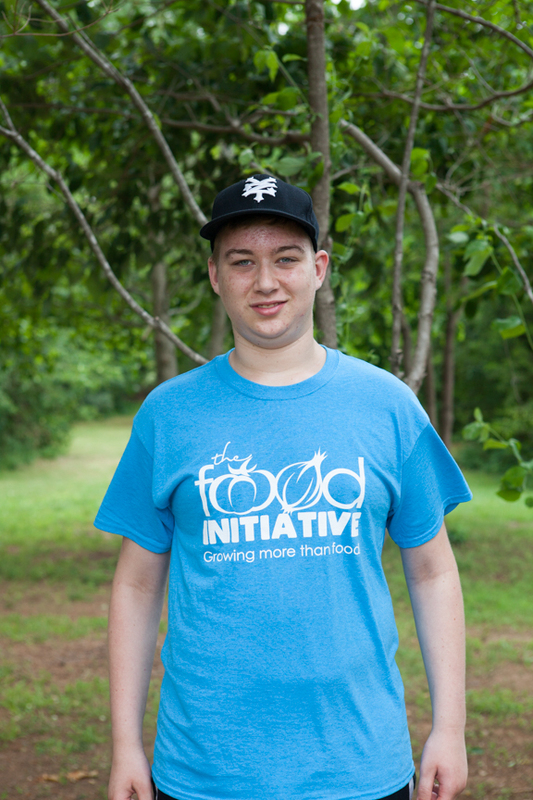 In 2016, The Food Initiative moved their location to a 12 acre site on Sango Rd about a mile from their orginal plot of land. 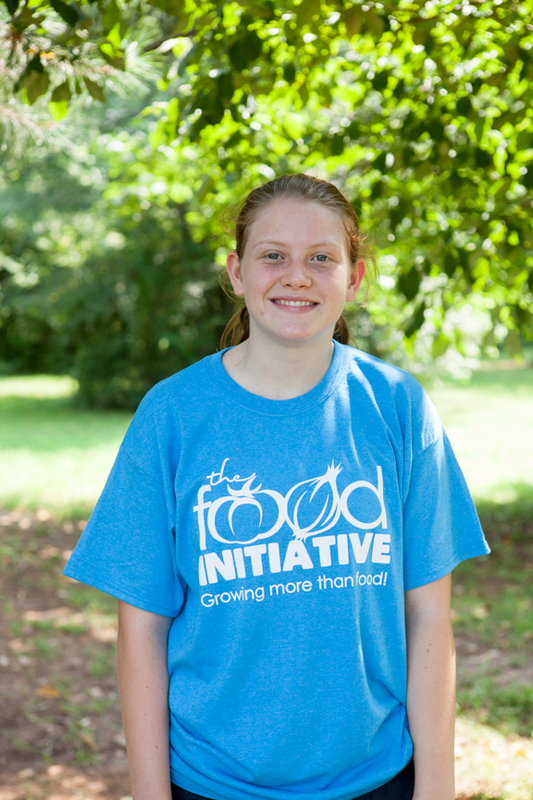 The land is leased by Joe and Peggy Claud of Chapmansboro, TN. 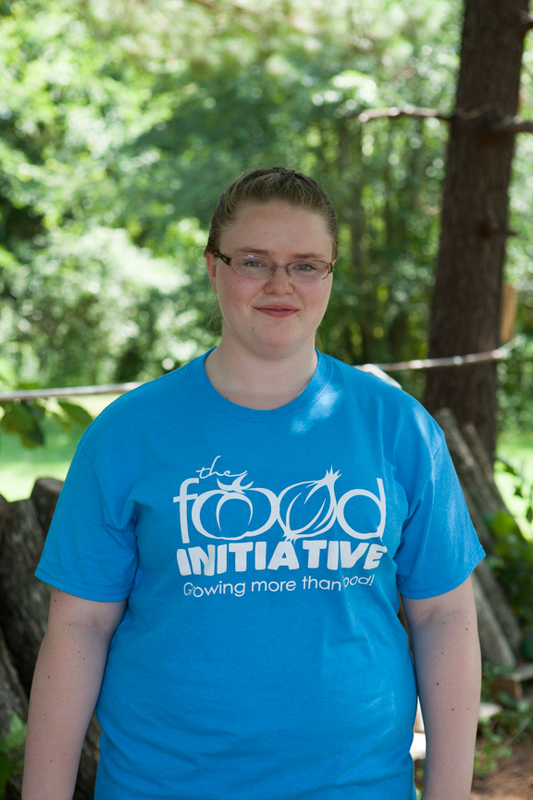 Along with growing fresh produce, The Food Initaitive is also raising chickens, goats and pigs. 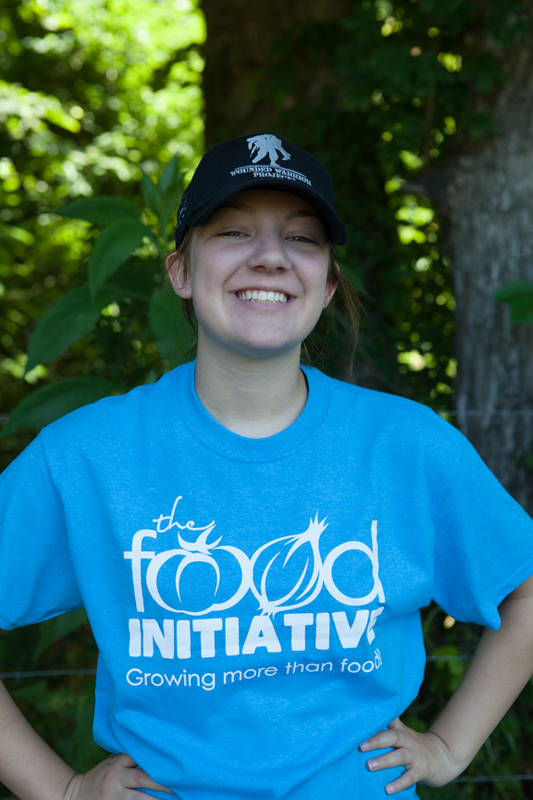 This new site also gives the organization new opportunities to benefit the community through volunteer opportunities, workshops, field trips, and community events. 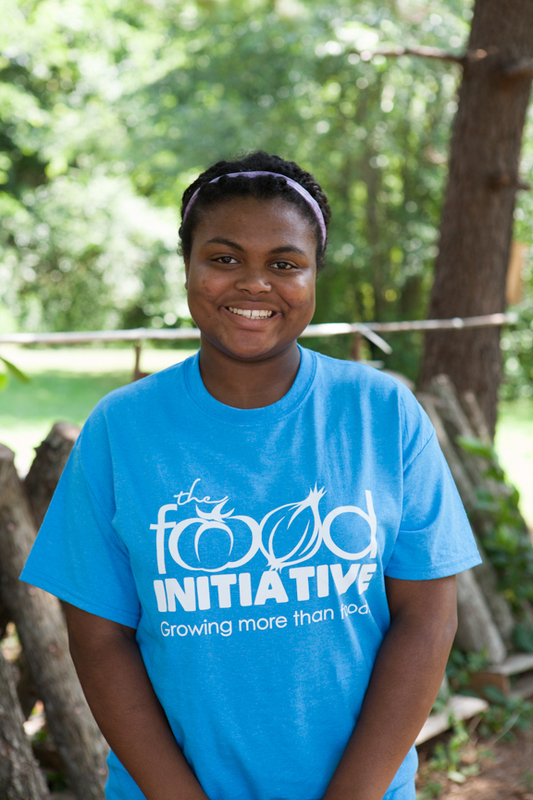 The Food Initiative continues to grow more than food. 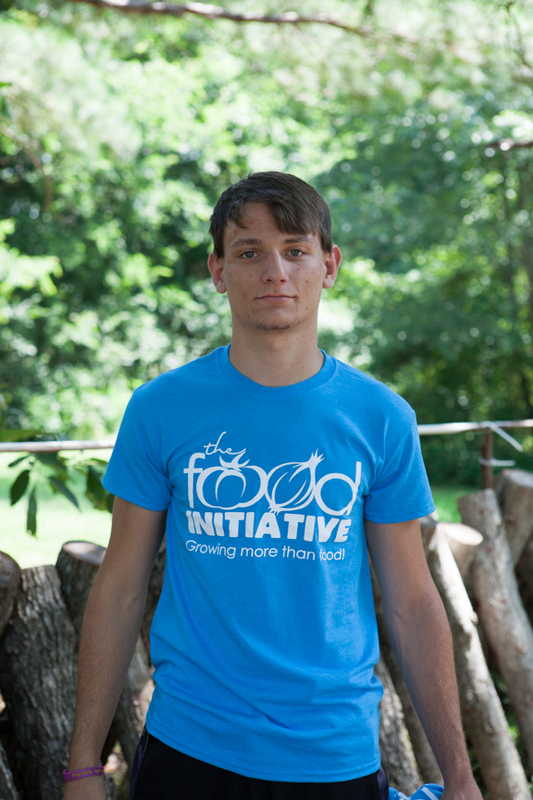 It’s growing lives. 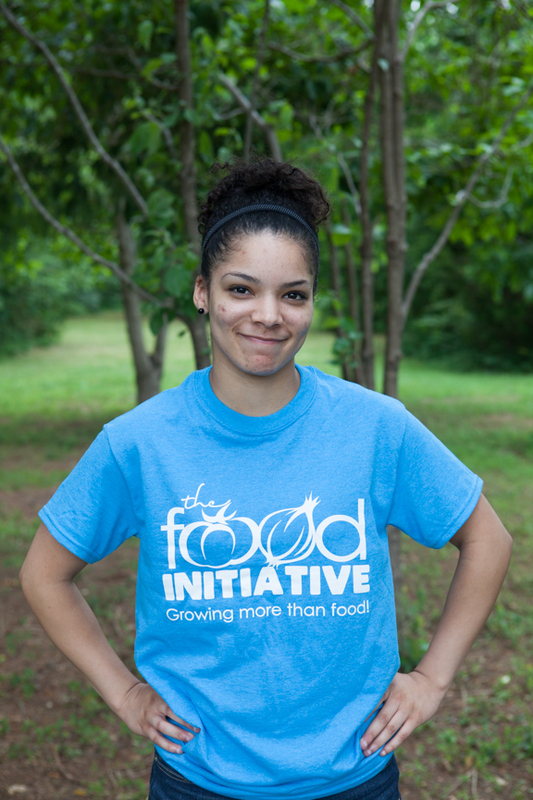 It’s growing Clarksville. 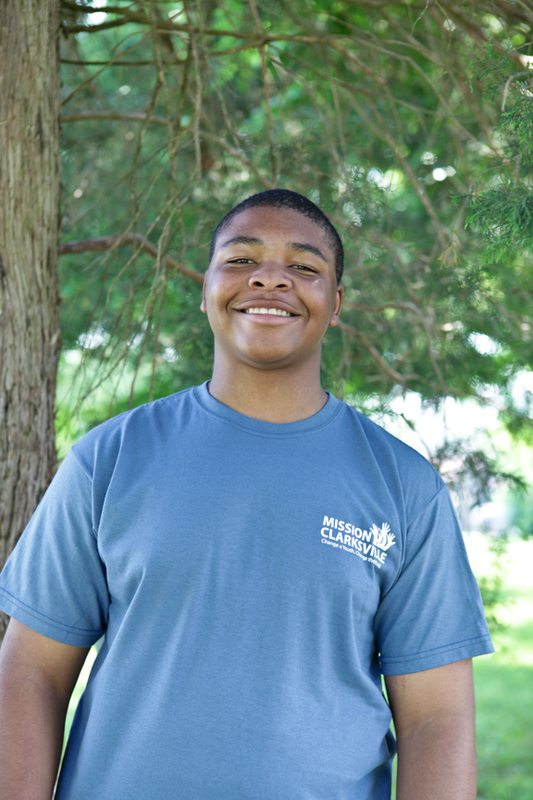 Michael Hampton is from Pleasant View, TN and a graduate of Austin Peay State University in Clarksville. 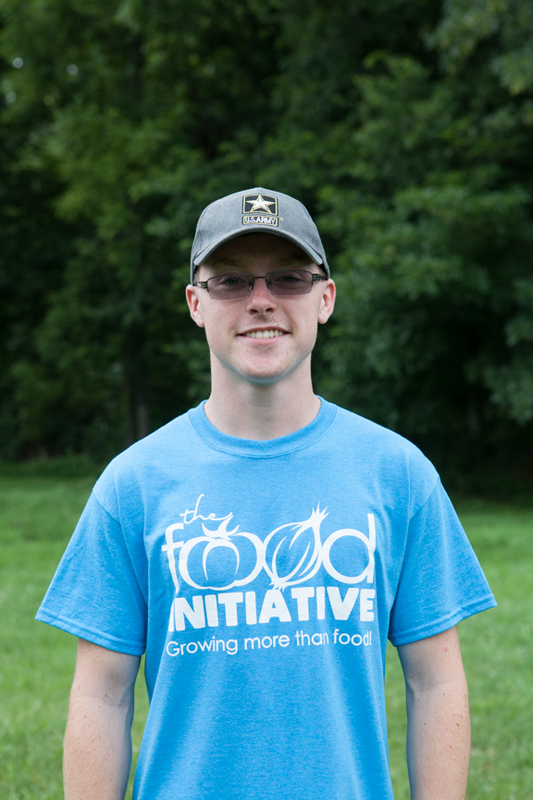 At APSU, Michael earned his BS in Agricultural Business and also completed the President’s Emerging Leadership Program with a focus on community service and leadership. 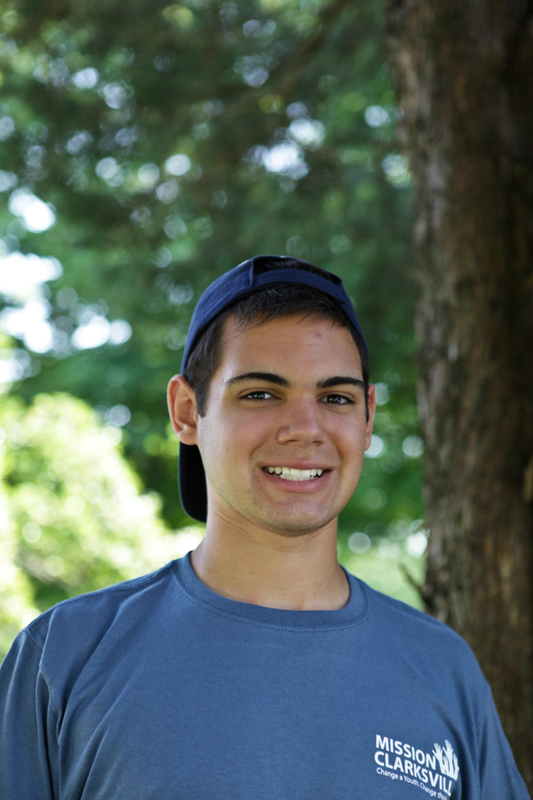 Michael is a recent graduate of Leadership Clarksville and is active in serving at Grace Community Church and in the community. 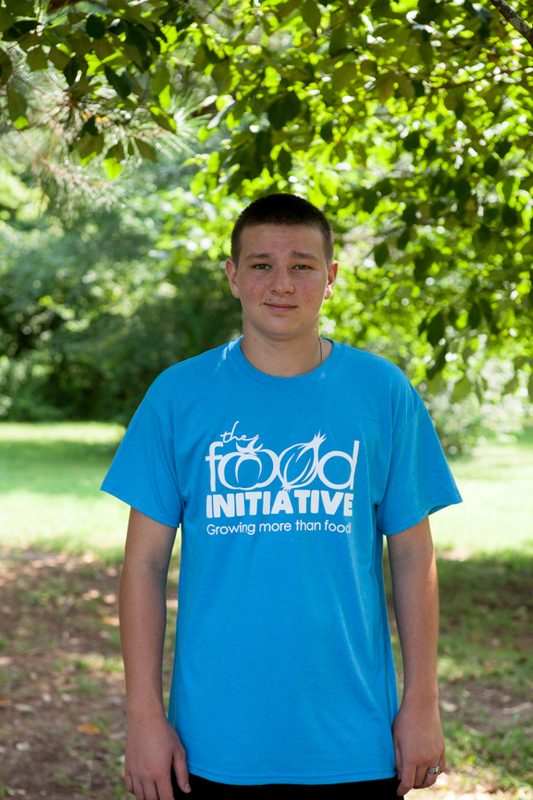 With his experience and knowledge of farming, Michael continues as the head Grower of The Food Initiative. 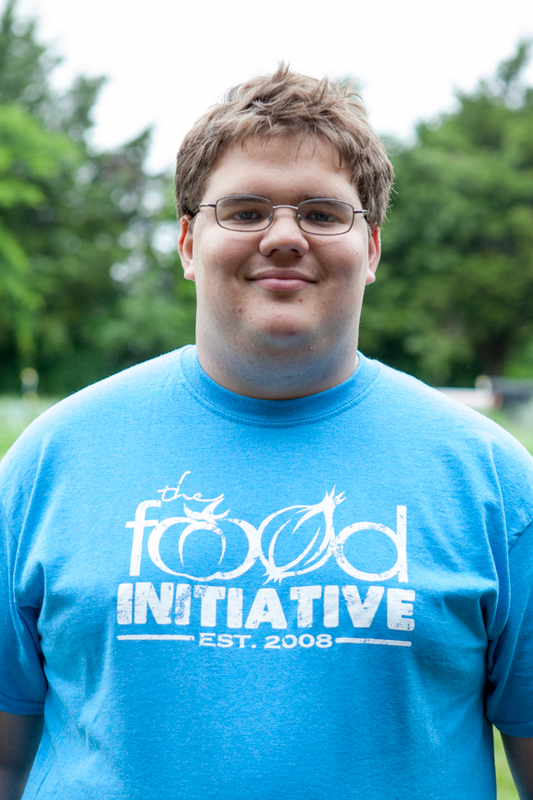 As Director, he also serves as the primary administrator of the organization. 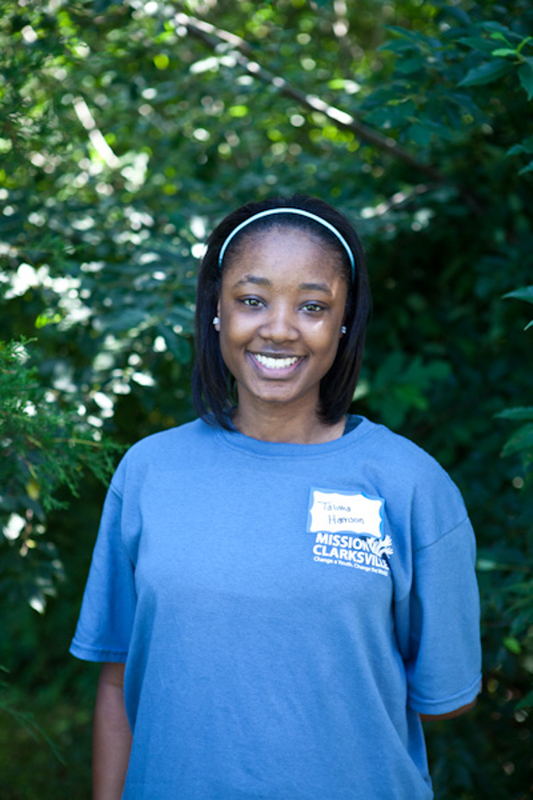 Regina Hampton is from Joelton, TN and is married to Michael Hampton. 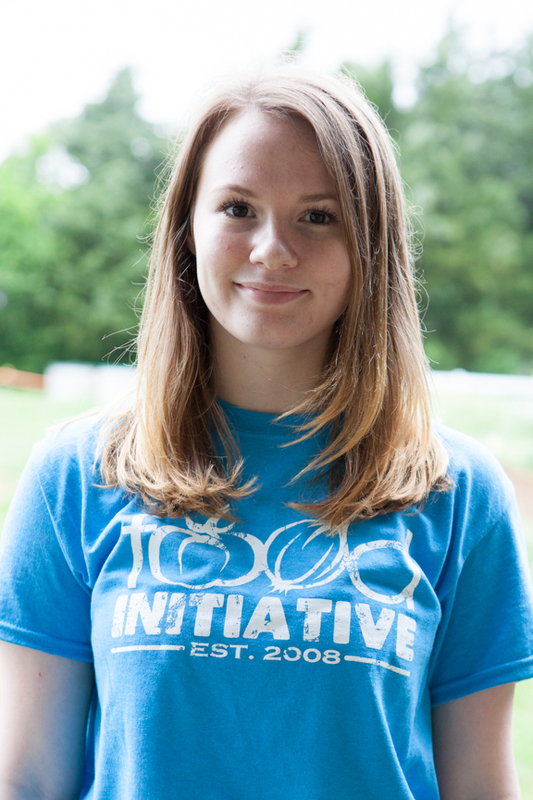 She studied Youth and Family Ministry at Harding University in Searcy, AR as well as photography at Nashville State Community College. 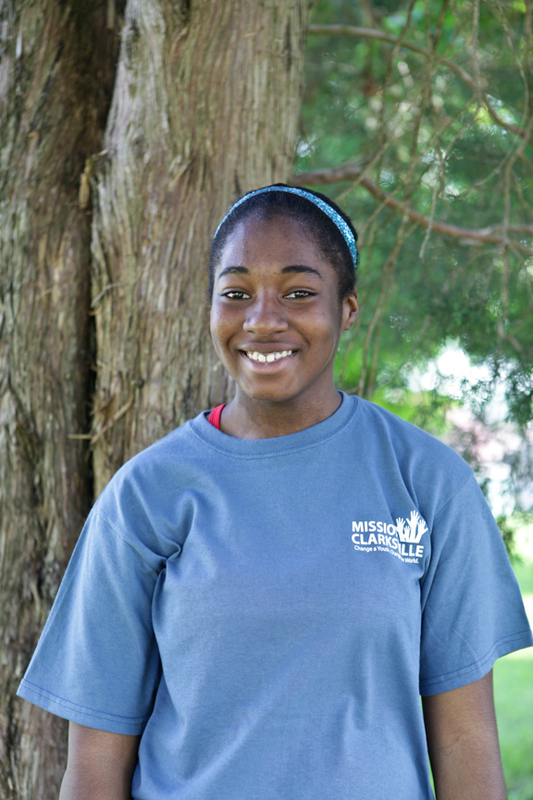 She is active in her church, Grace Community in Clarksville. 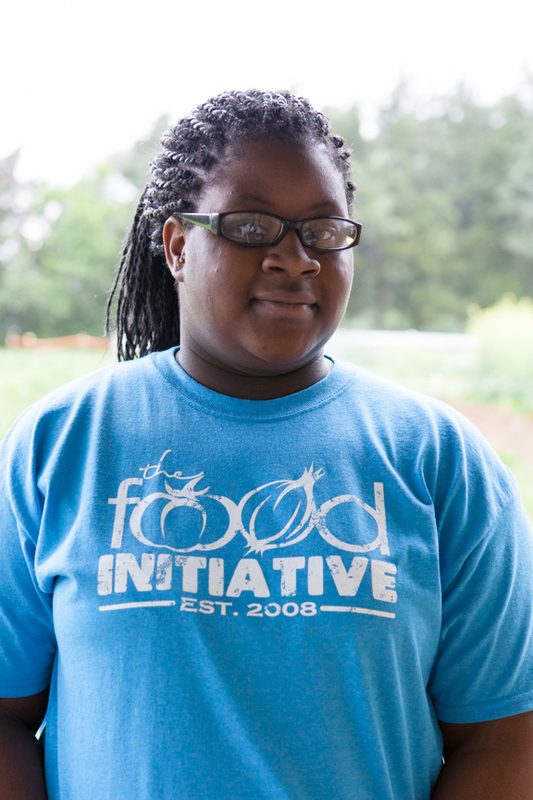 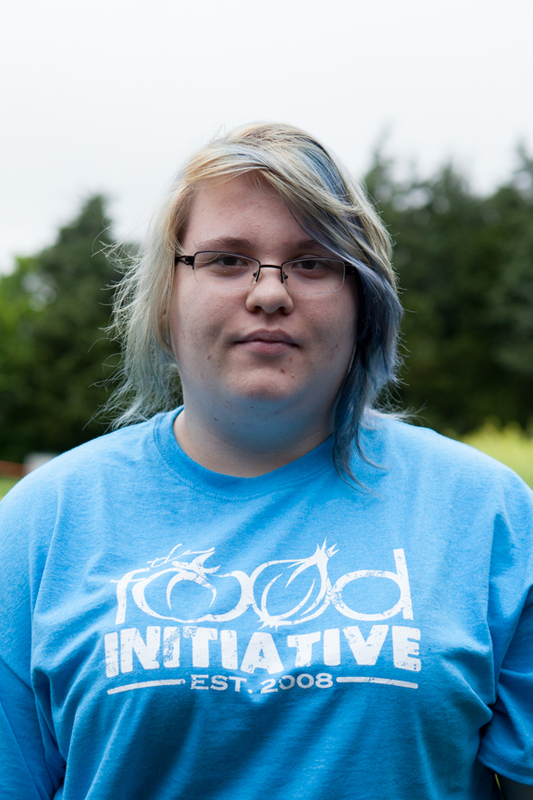 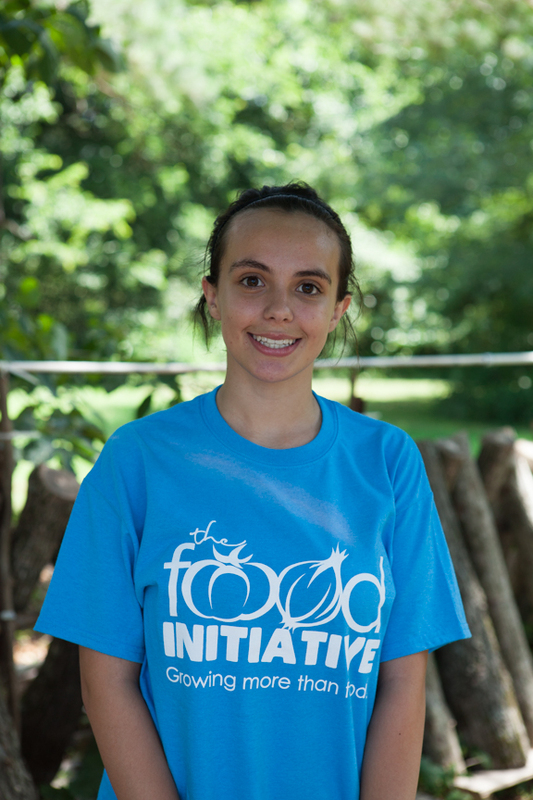 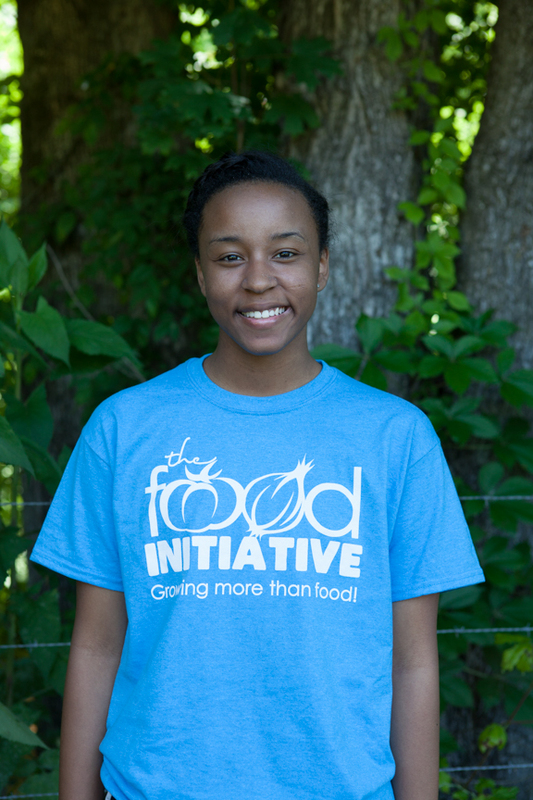 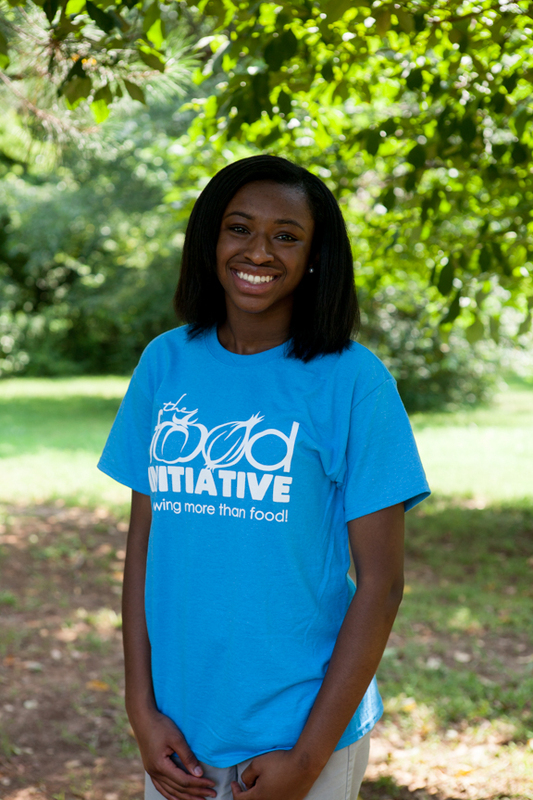 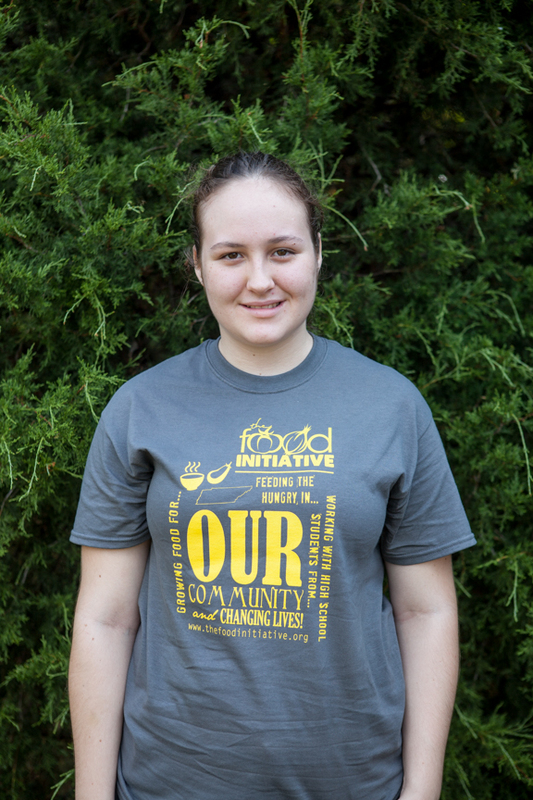 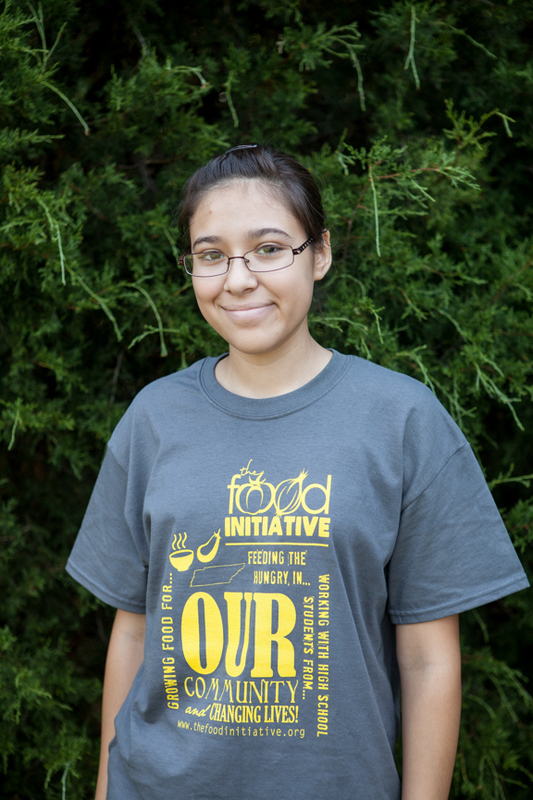 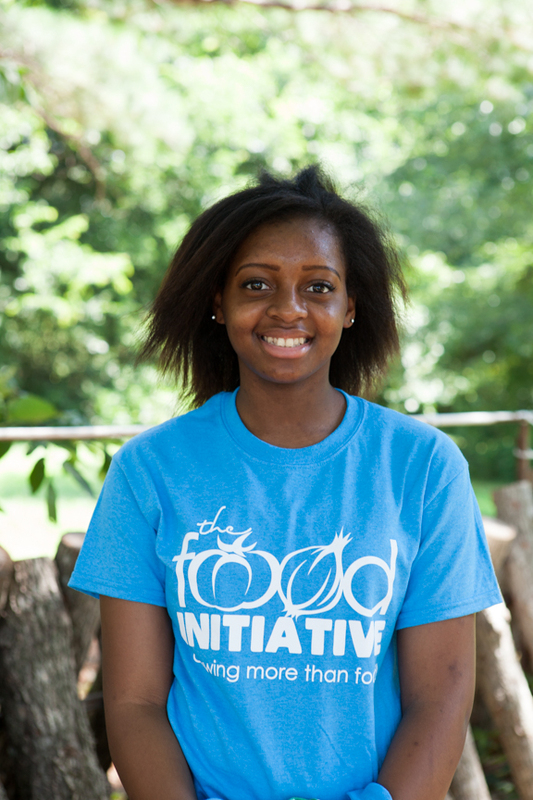 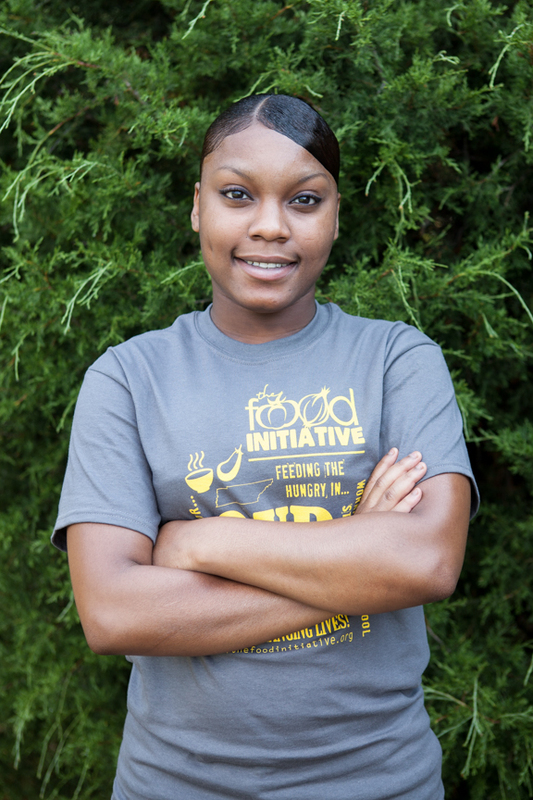 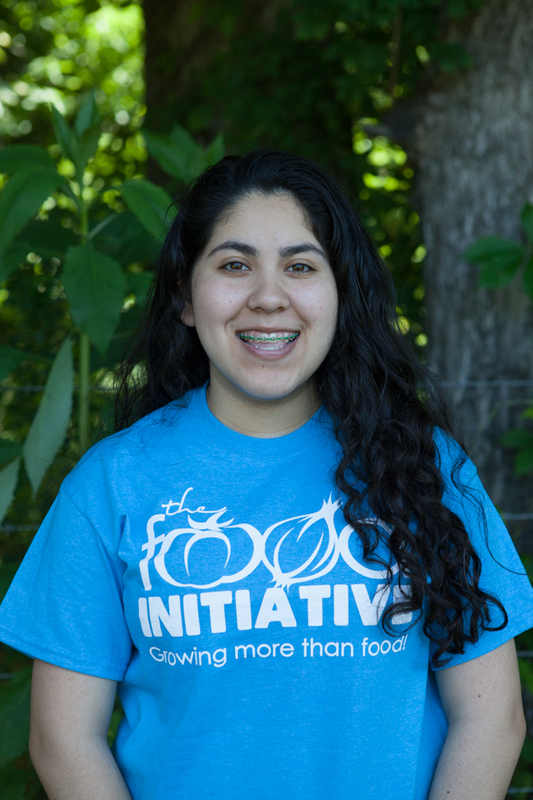 Regina is the primary youth mentor and youth program facilitator at The Food Initiative. 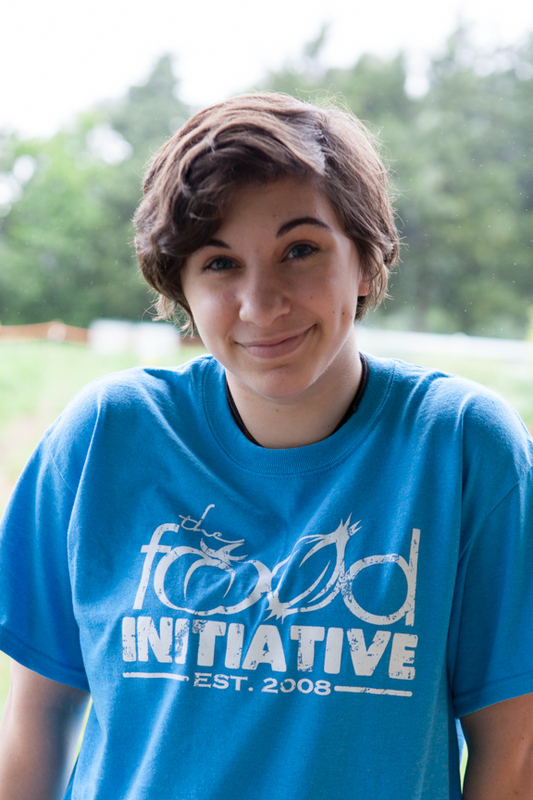 In addition, Regina serves as Creative Director documenting the daily life of TFI through web and media outlets. 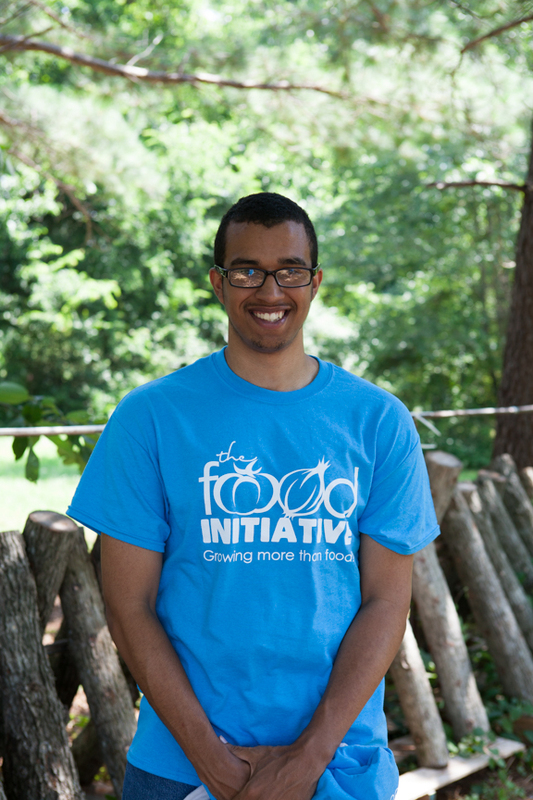 Each summer, TFI is fortunate to hire summer staff from a qualified pool of Summer Youth Program graduates. 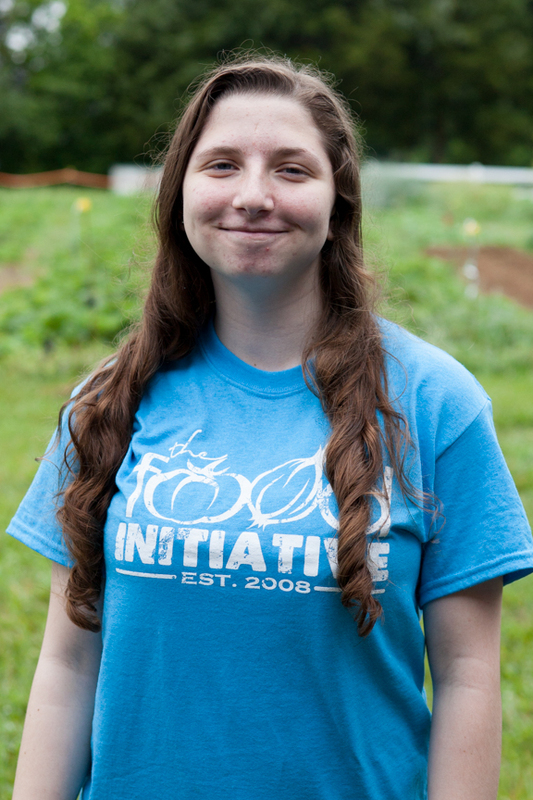 These summer staff leaders help to create an atmosphere of acceptance and learning for our youth participants and lead them in their work in the garden and community. 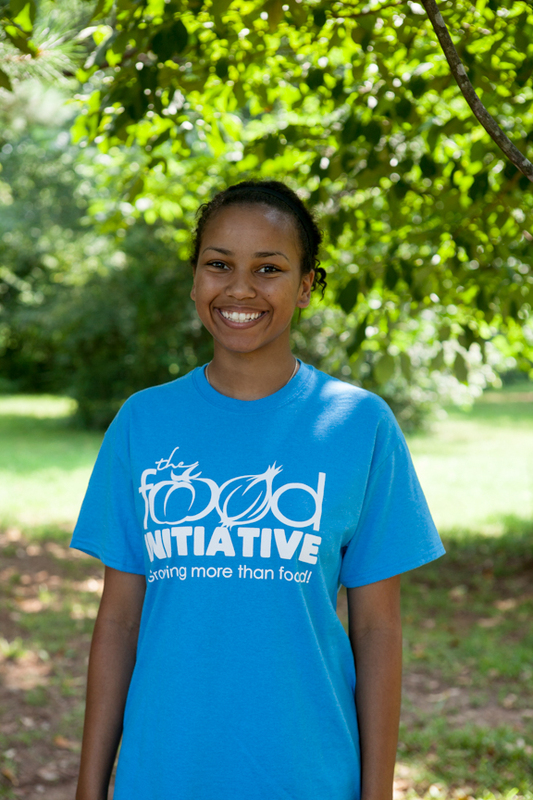 If you are a program graduate and would like to apply to join our summer staff, you can do so here. 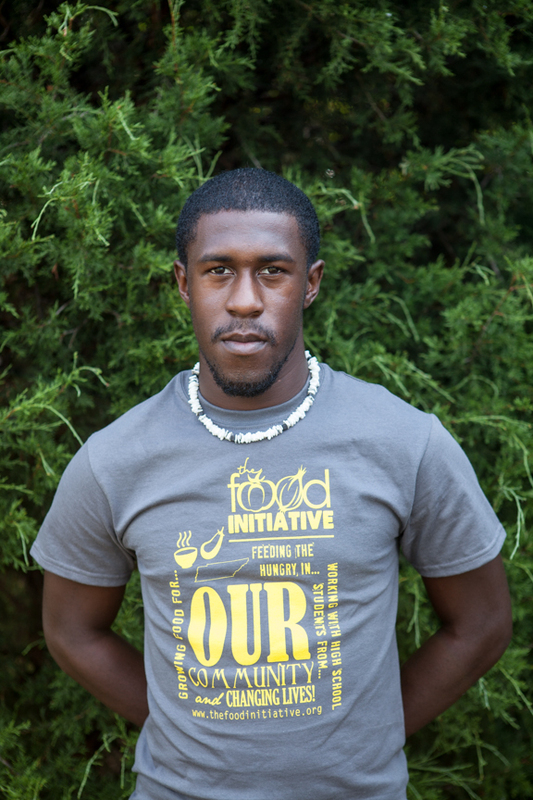 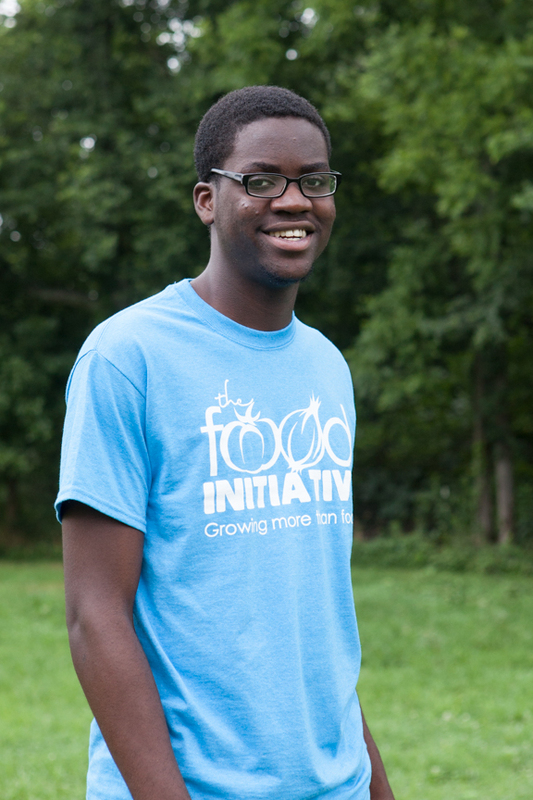 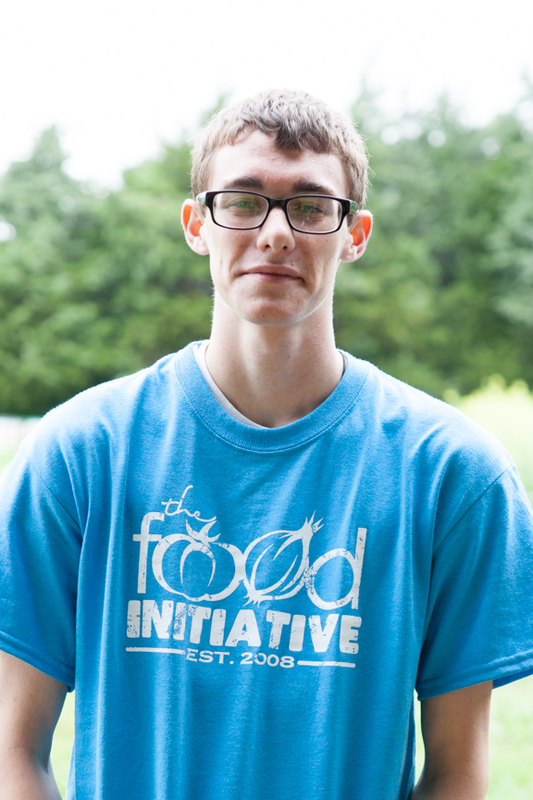 * Notes individuals who are alumnus of The Food Initiative youth program.